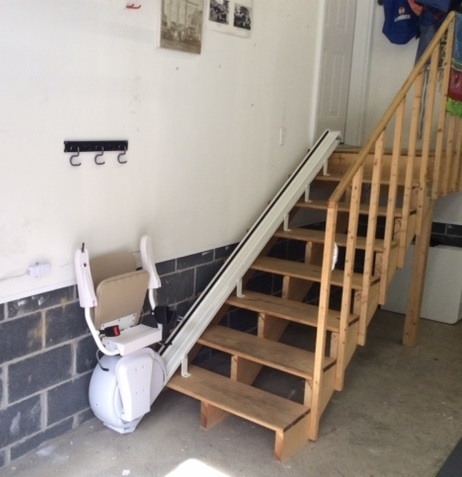 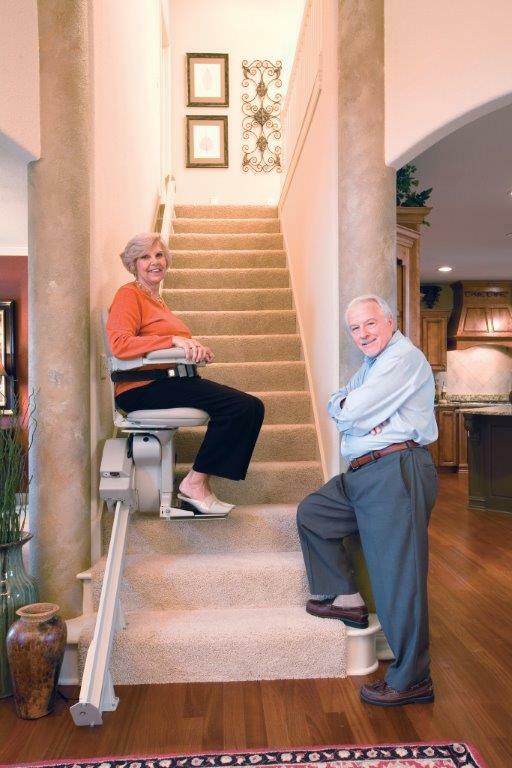 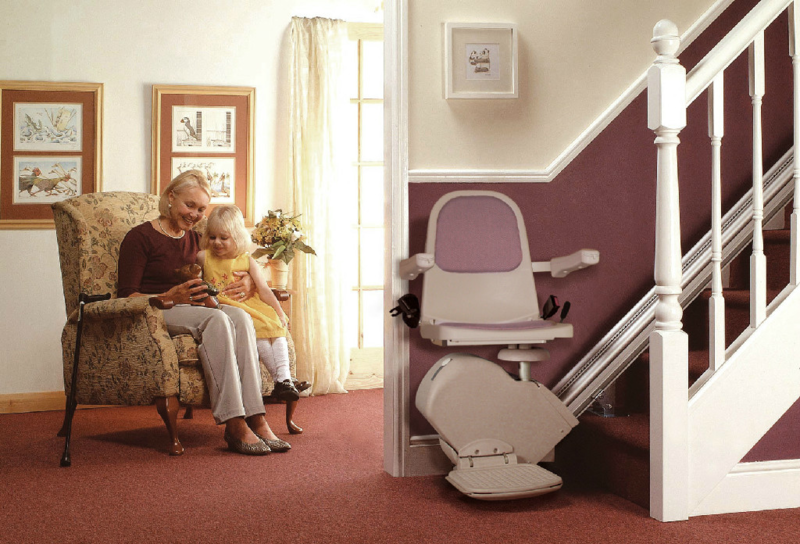 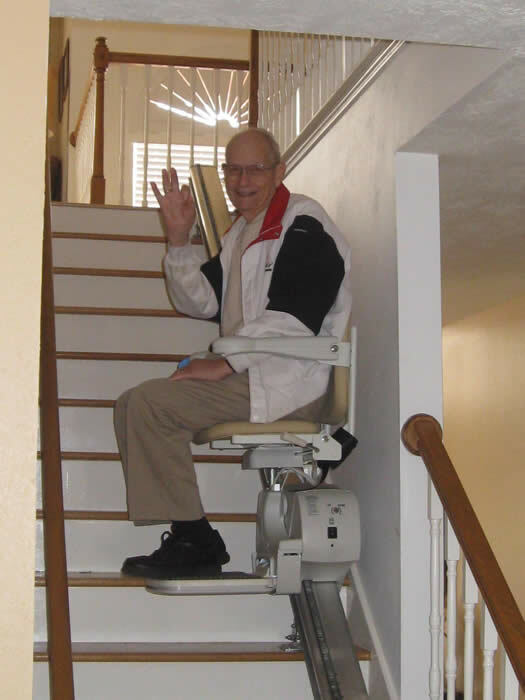 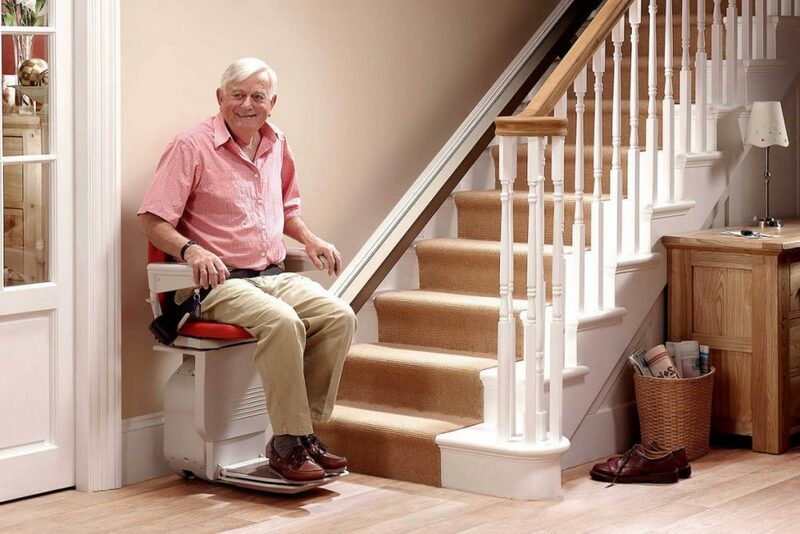 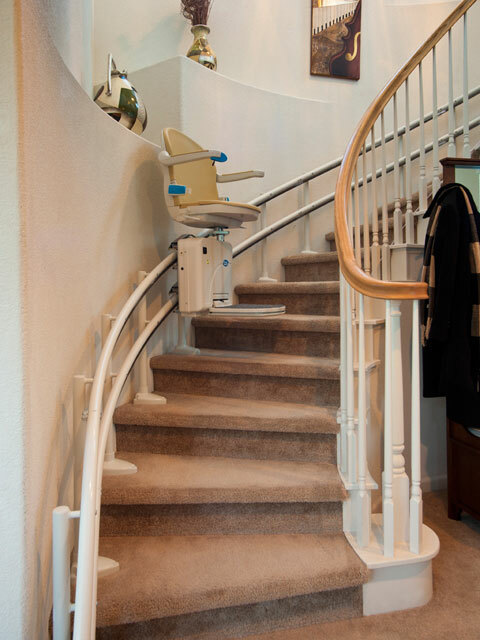 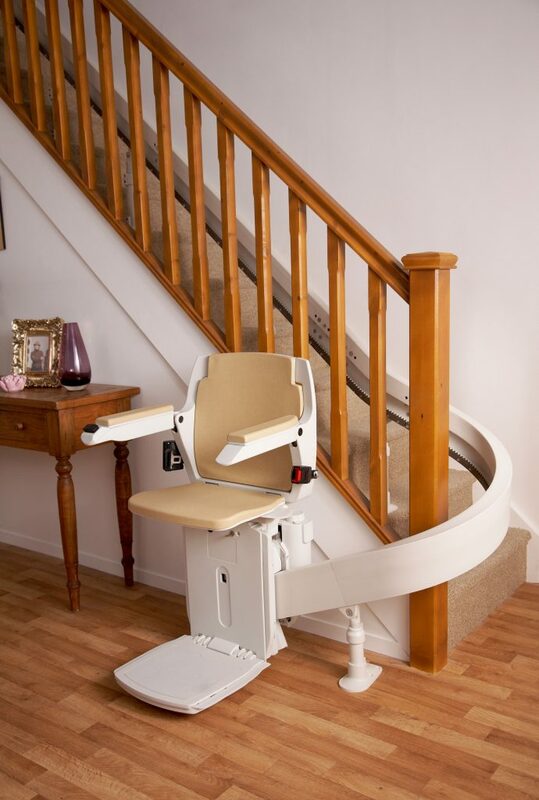 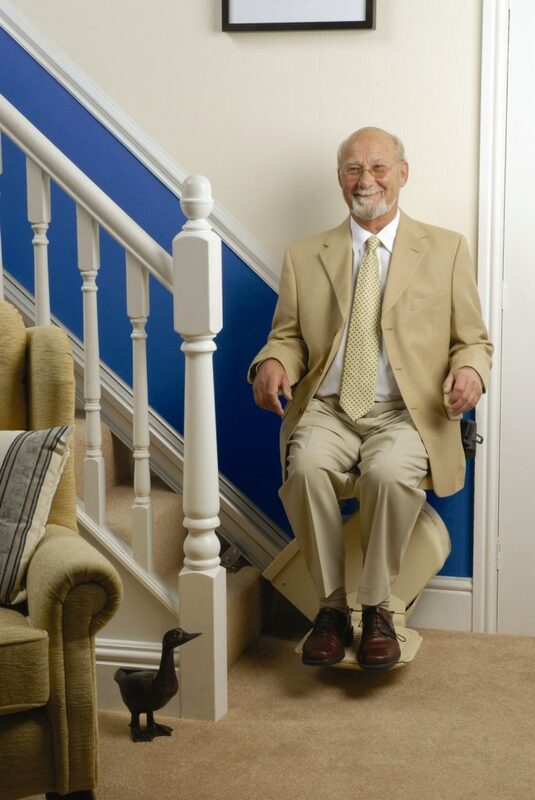 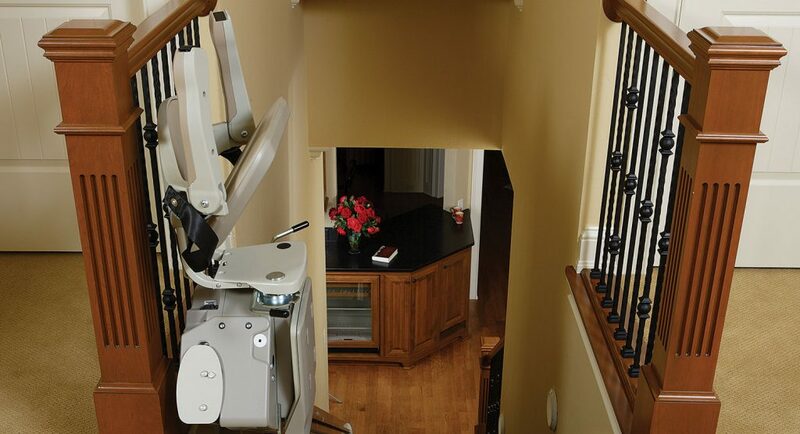 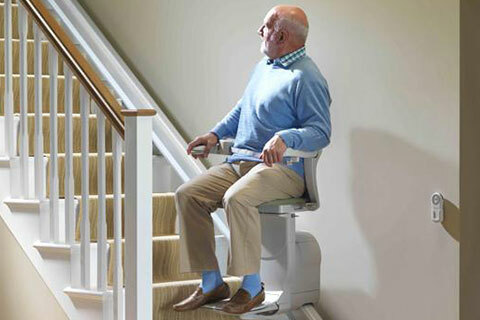 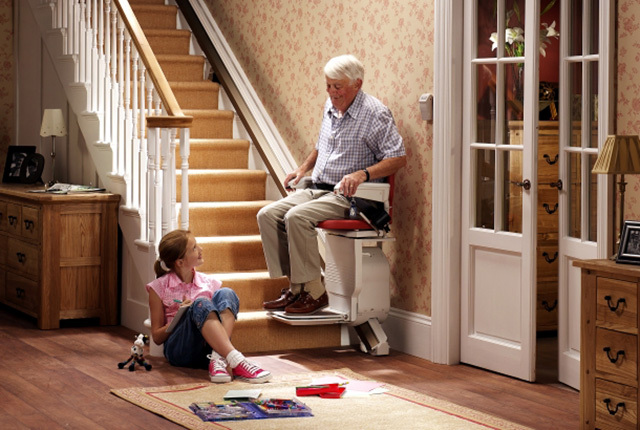 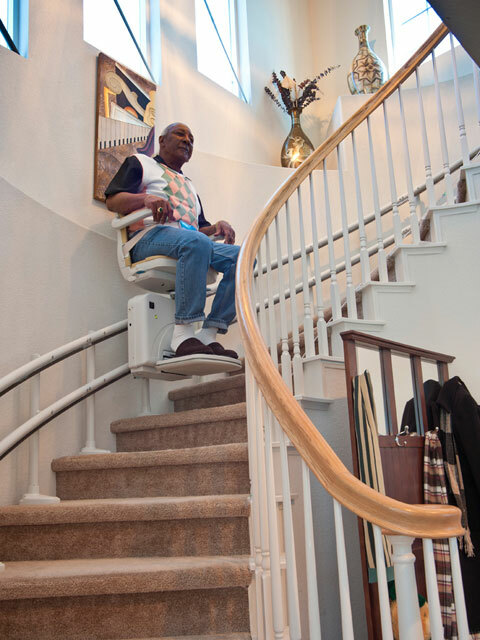 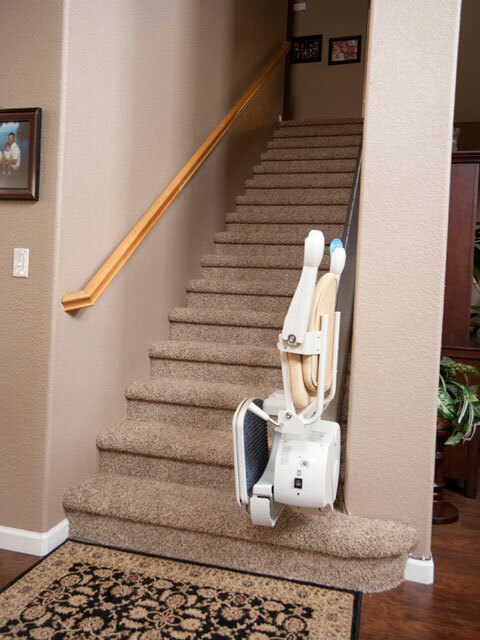 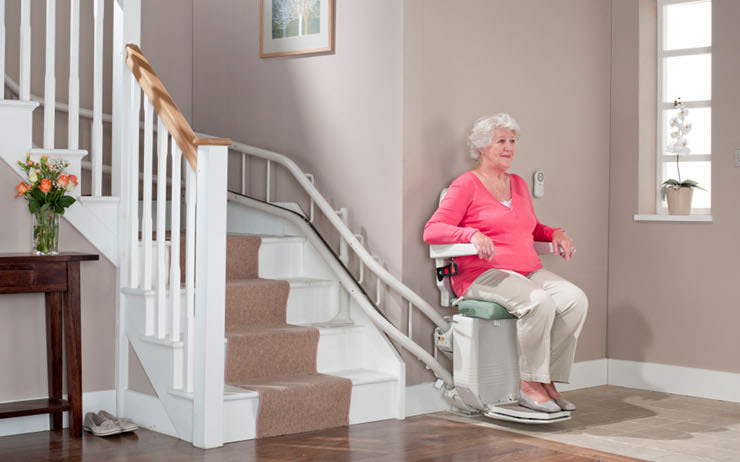 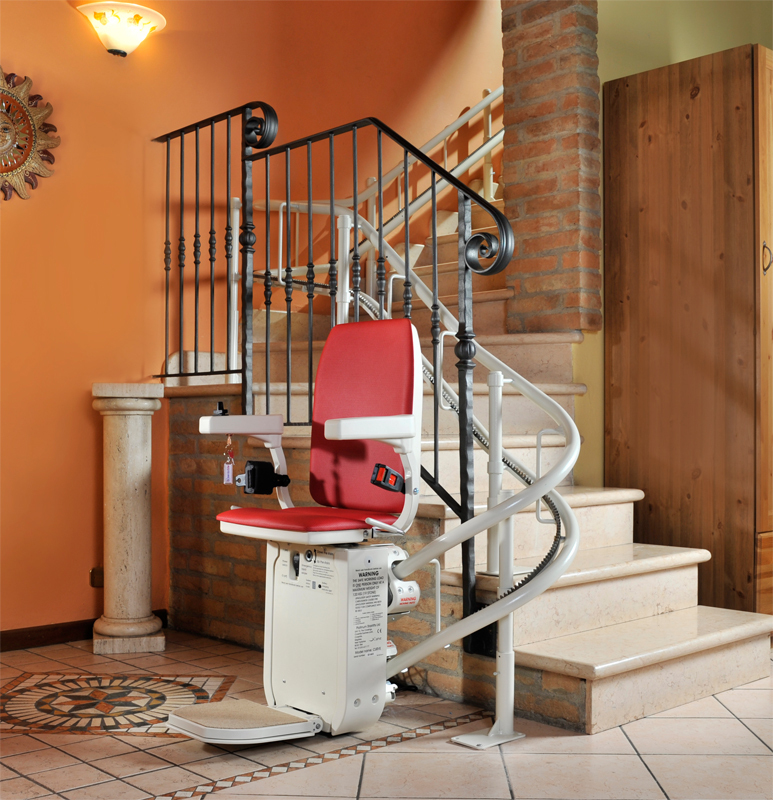 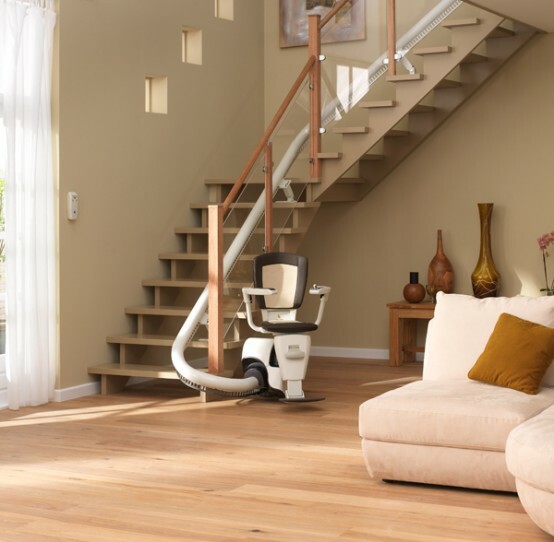 Stair lifts are available in many types and have many options; Barrier Free Modifications will work with you to find exactly the right lift for your needs. 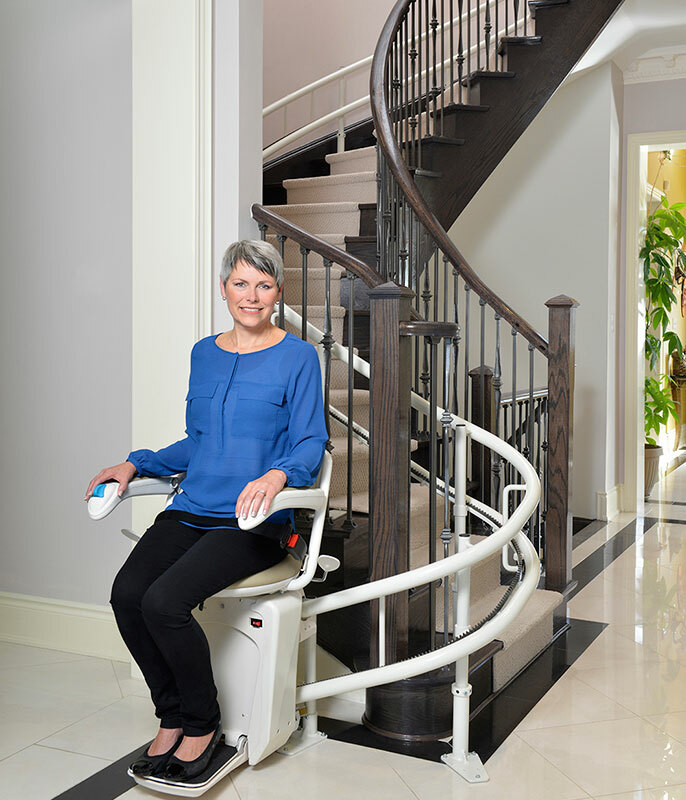 All Stair Lifts come standard with a switch or button at the armrest and a call/send button mounted on the wall at the top or bottom of your stair case this allows multiple user household’s access to the unit as necessary. 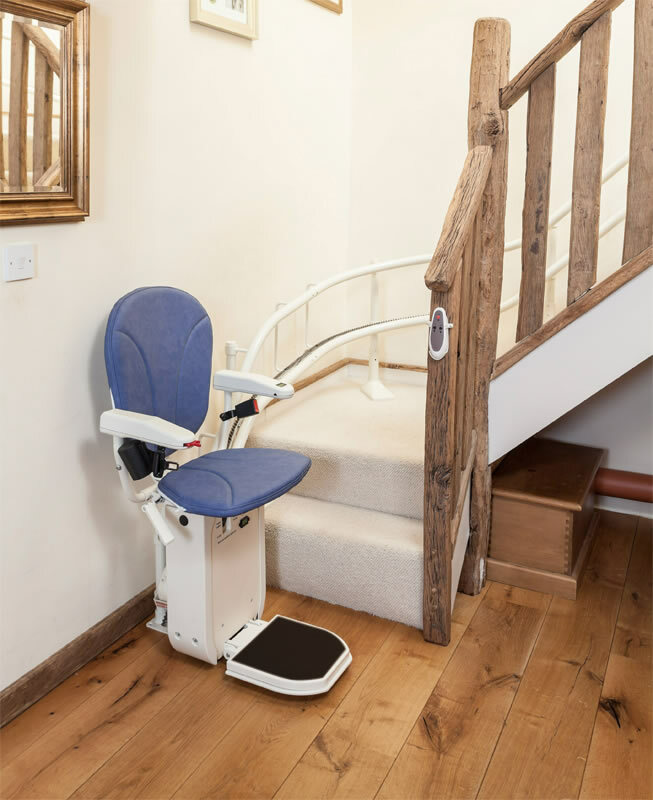 Stair lifts also provide different seat and fabric choices as well as railing finishes to address your concerns about your homes aesthetics or to enhance your home décor. 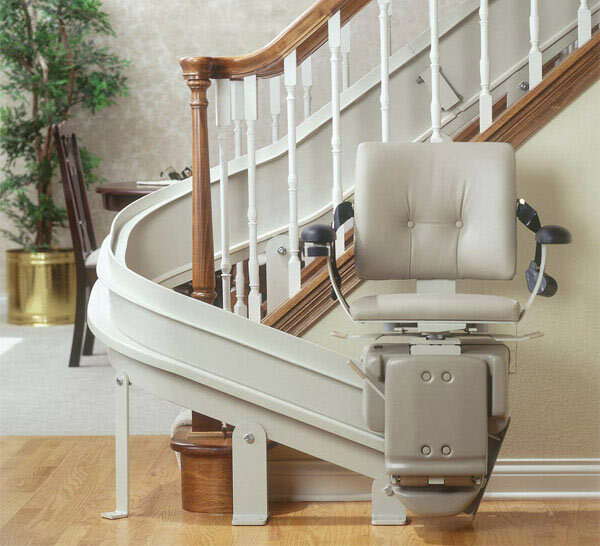 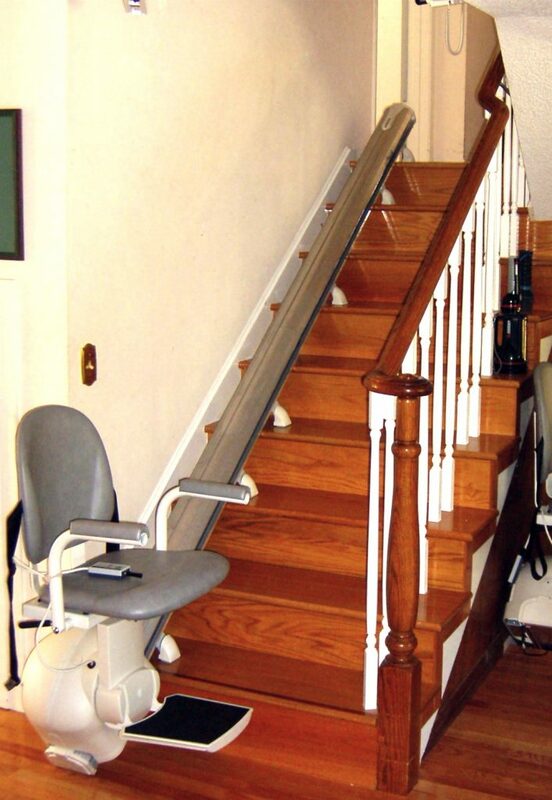 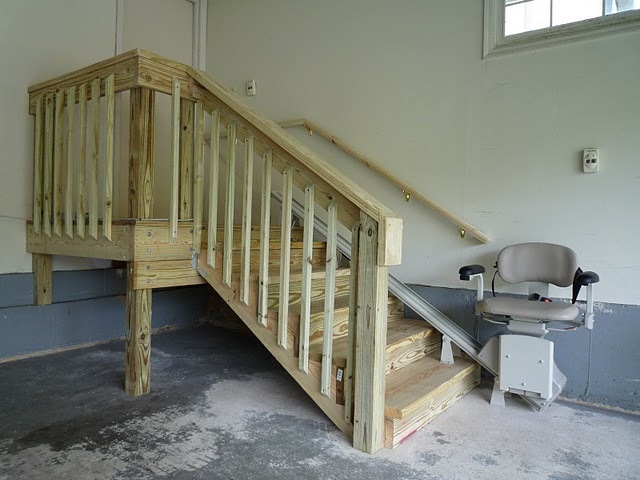 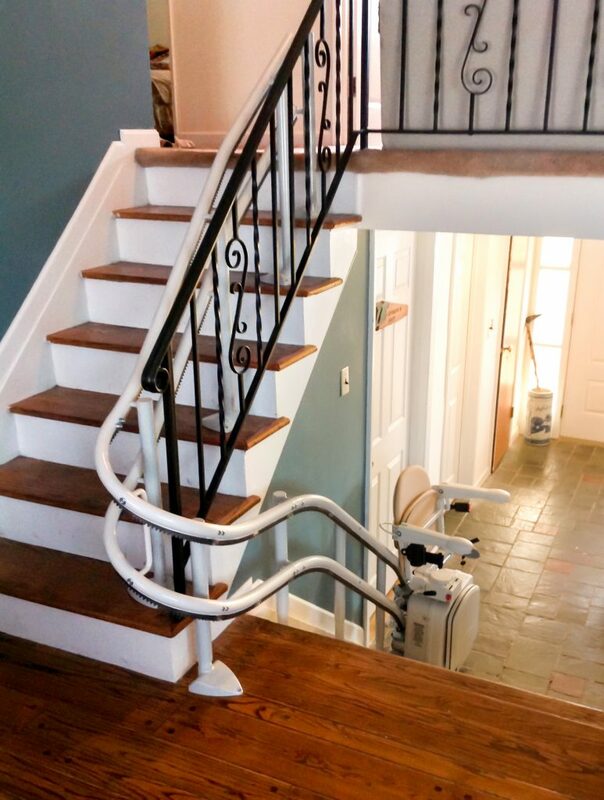 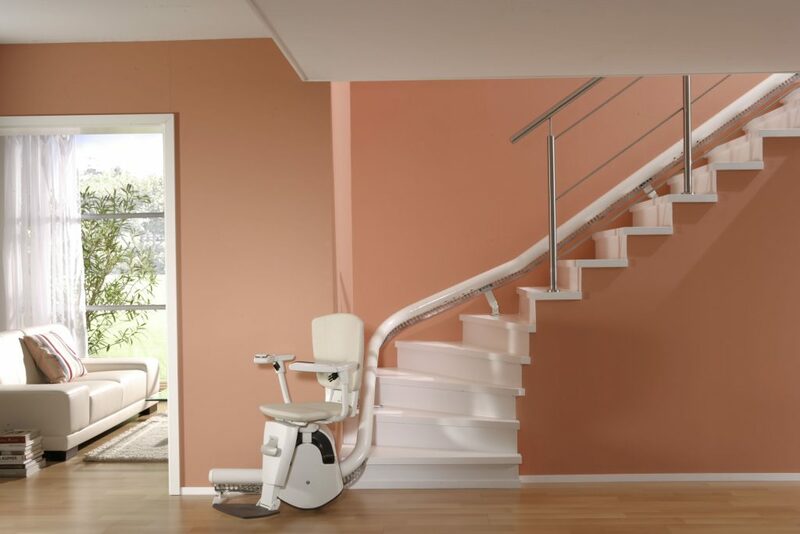 Straight Stair Lifts are designed for use on stair cases without turns, curves, or landings and are custom made to fit your homes stair case no matter how many steps. 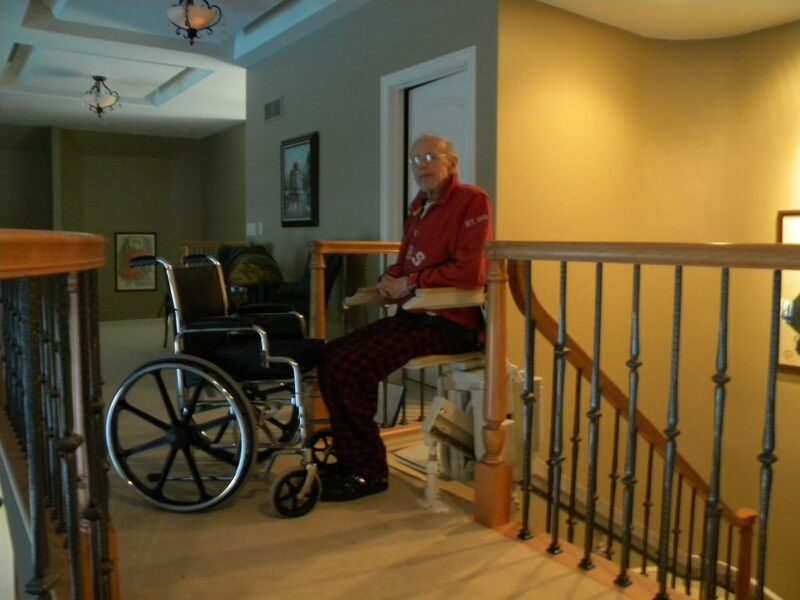 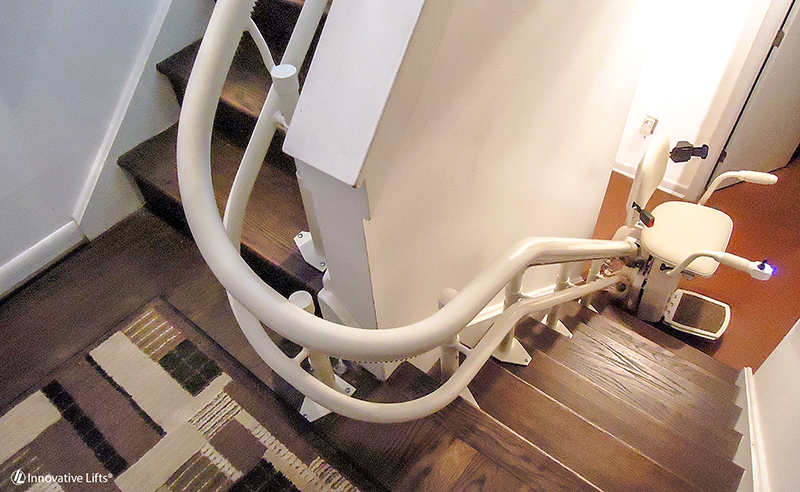 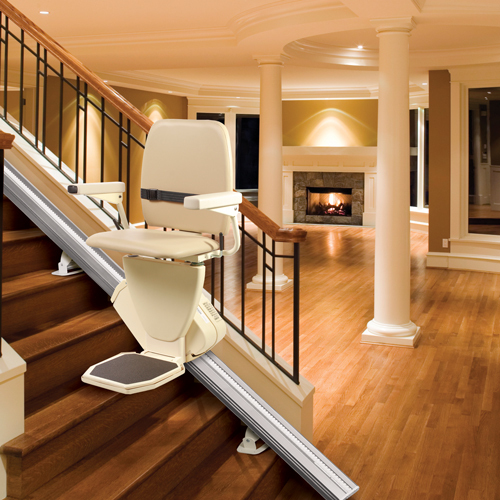 Curved Stair Lifts are custom manufactured to fit the exact curve and shape of your stair case seamlessly. 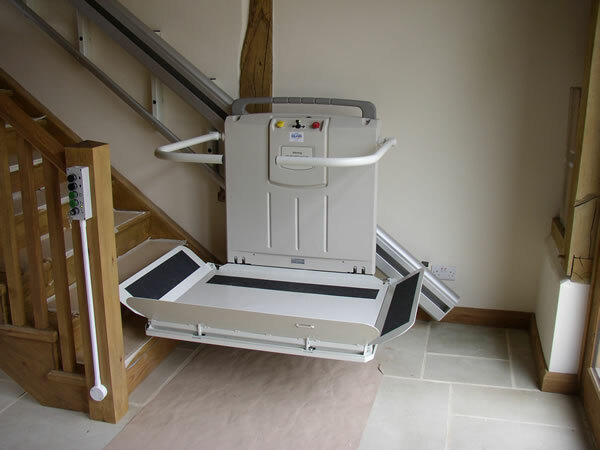 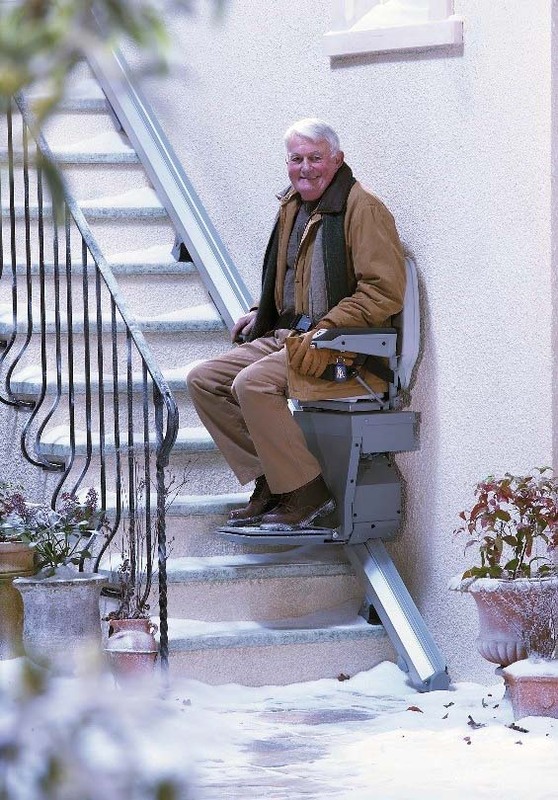 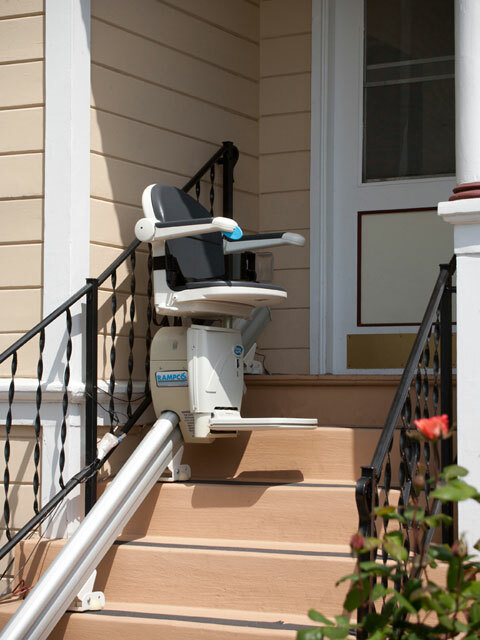 Outdoor Stair Lifts provide all the same options as the other stair lifts described, but are specifically designed to with stand the weather and outside elements. 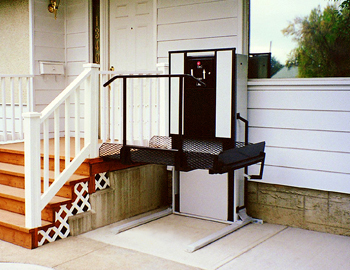 Platform Lifts also known as “porch lifts” come in all shapes and sizes, and can be customized for your specific needs and home. 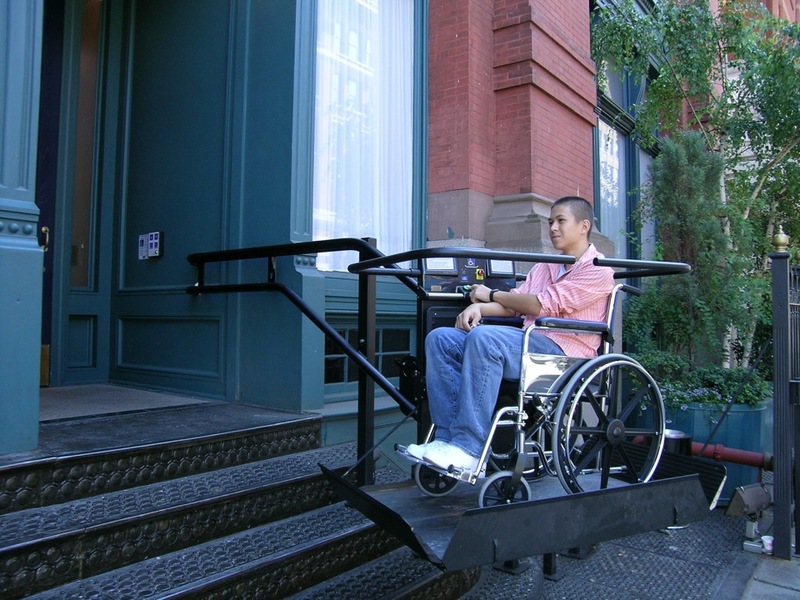 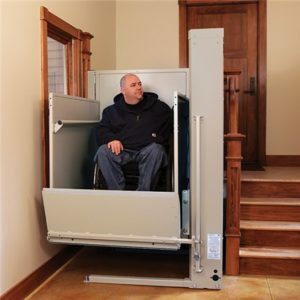 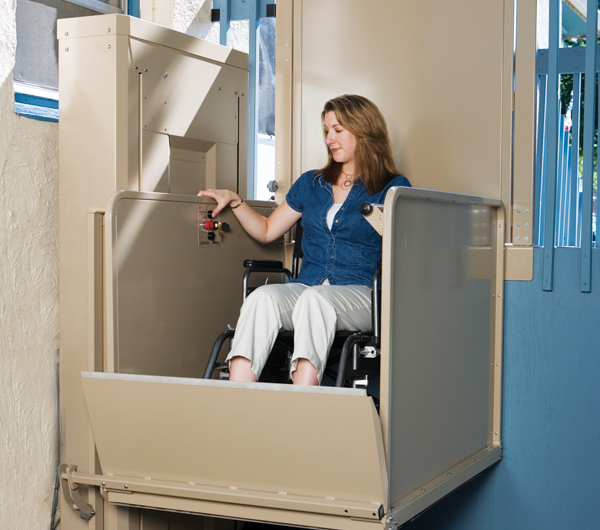 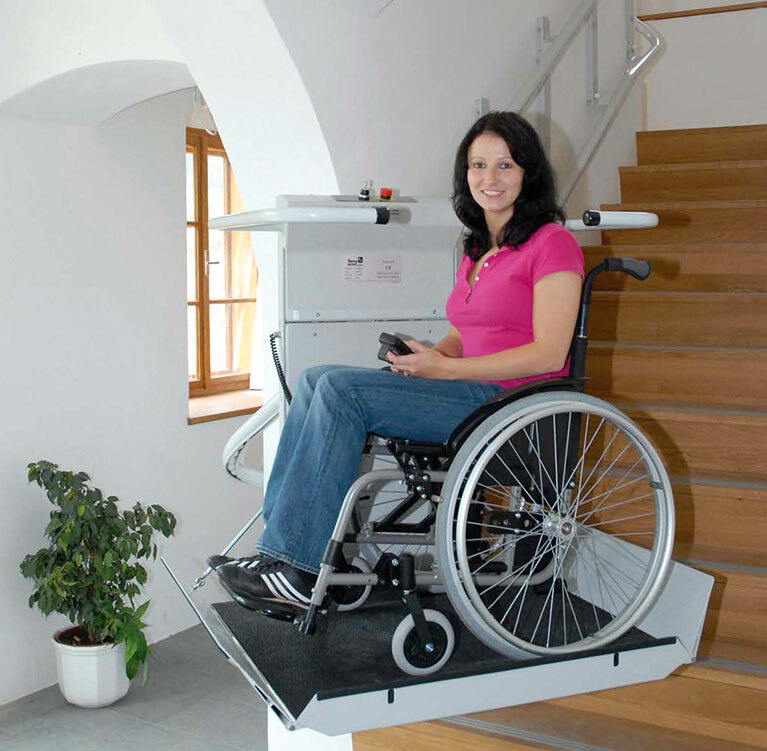 Platform Lifts are ideal for individuals that rely on wheelchairs, powerchairs, and scooters. 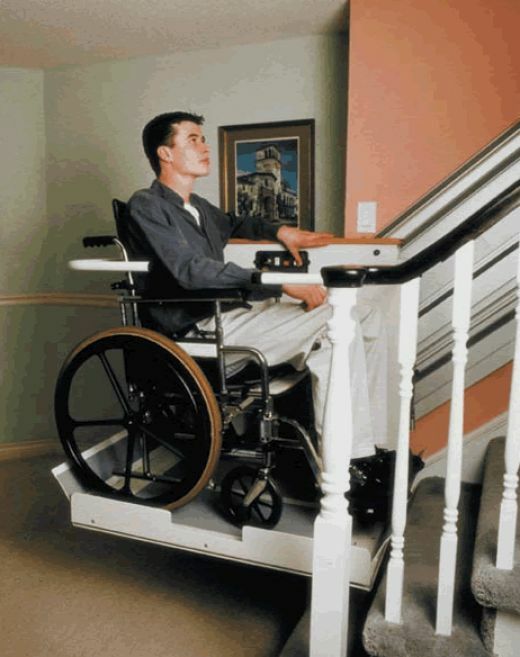 Just roll on, push the button and you’re on your way to the next level of your porch or decks. 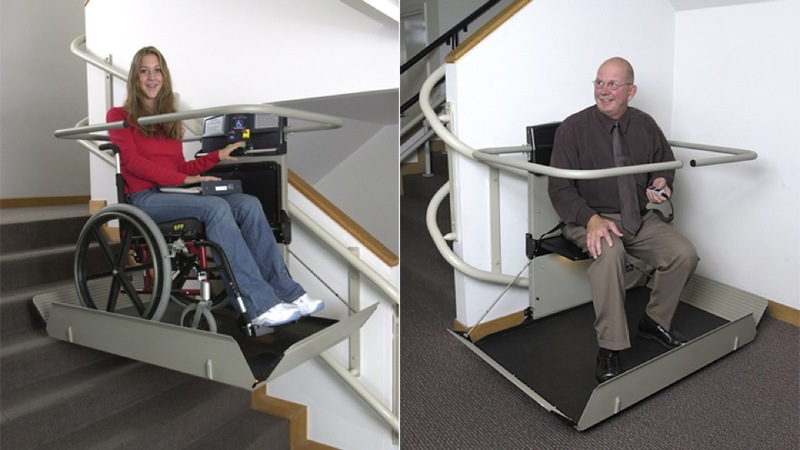 Barrier Free Modifications will provide a trained expert to demonstrate how to safely and properly use your new lift. 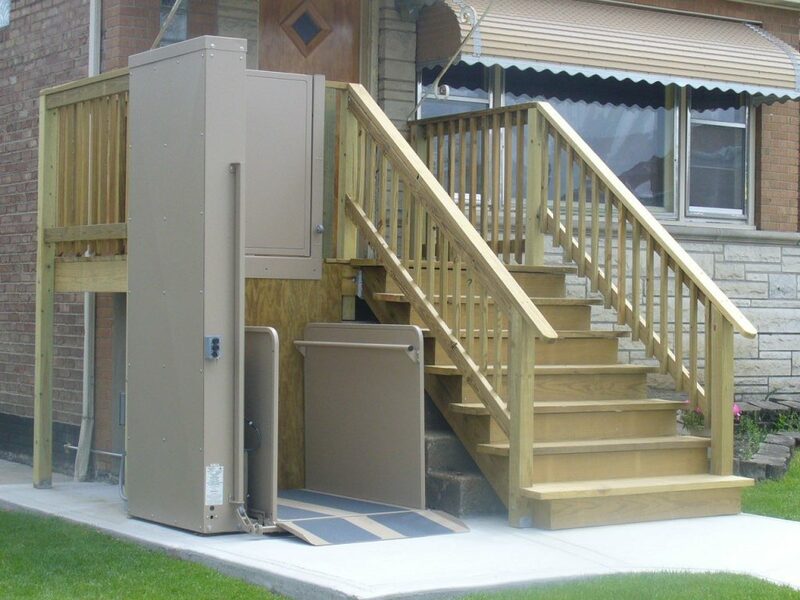 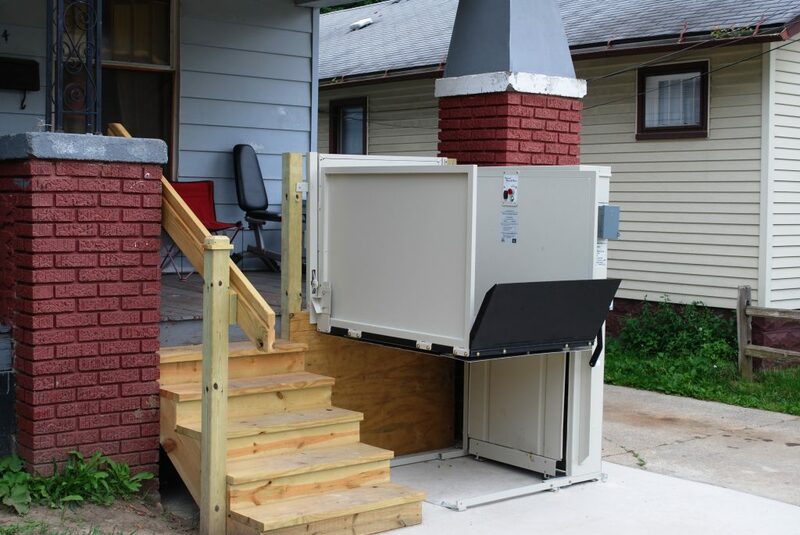 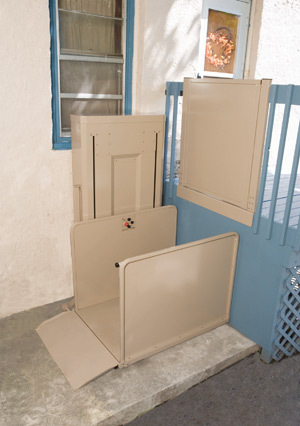 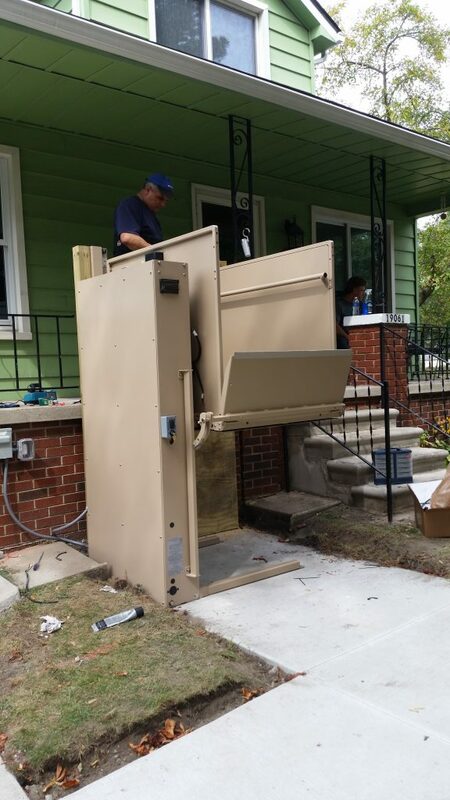 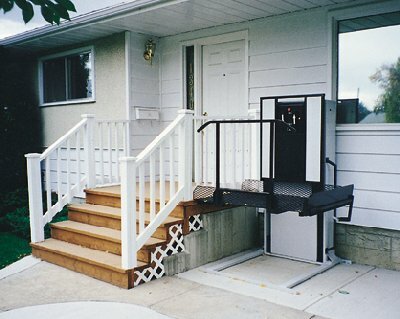 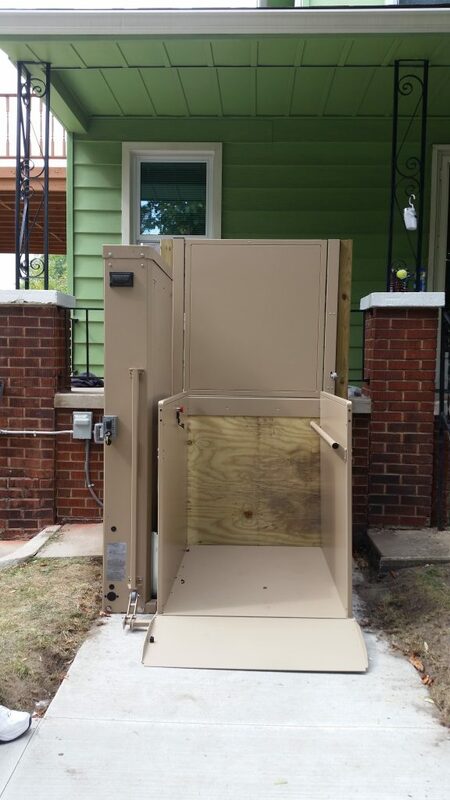 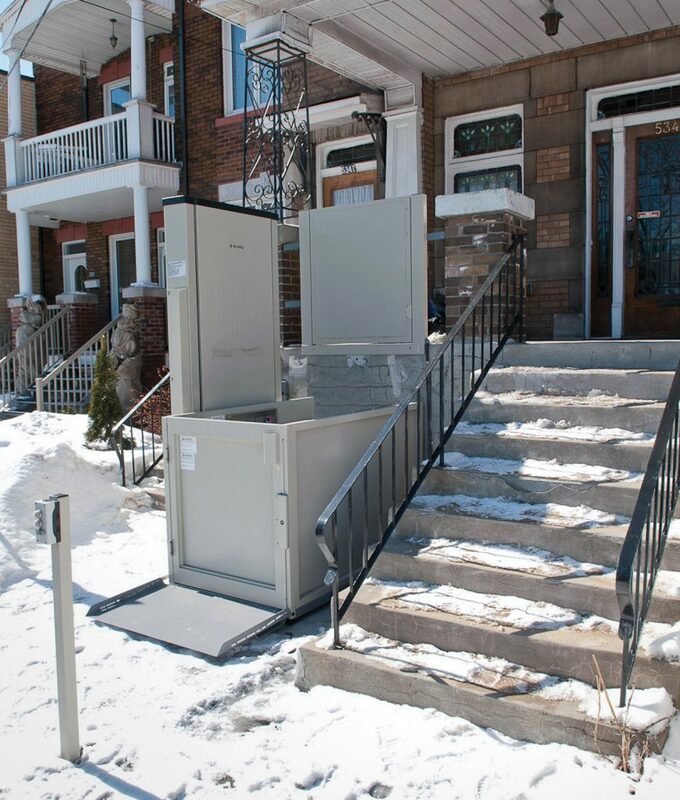 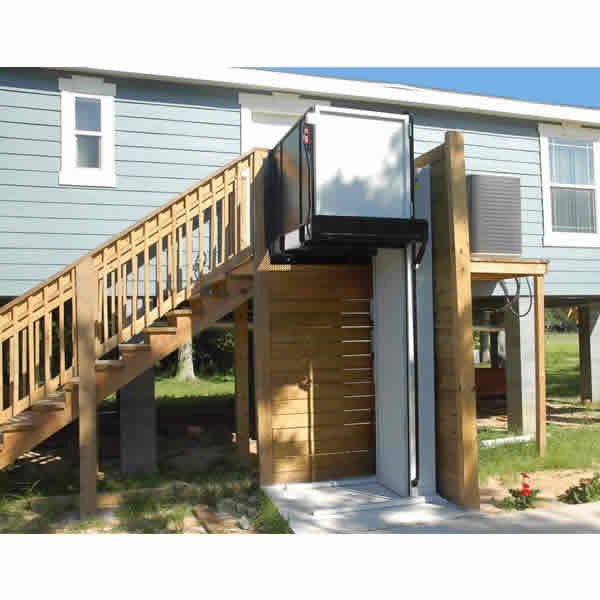 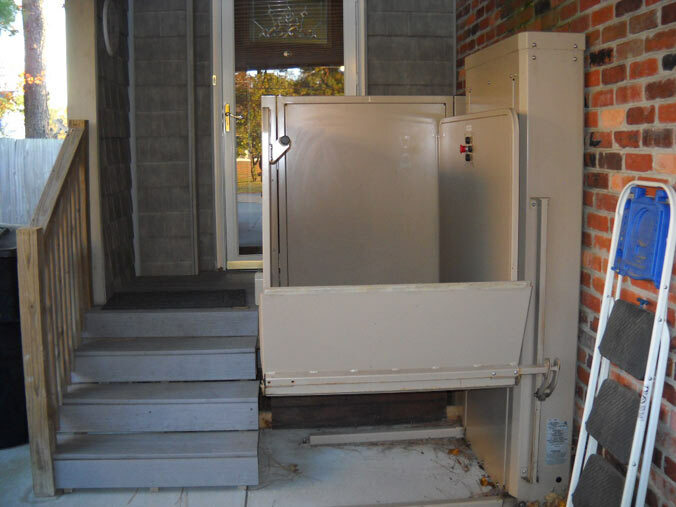 Vertical Platform Lifts also provide access to raised porches and decks for your wheelchair, powerchair, or scooter. 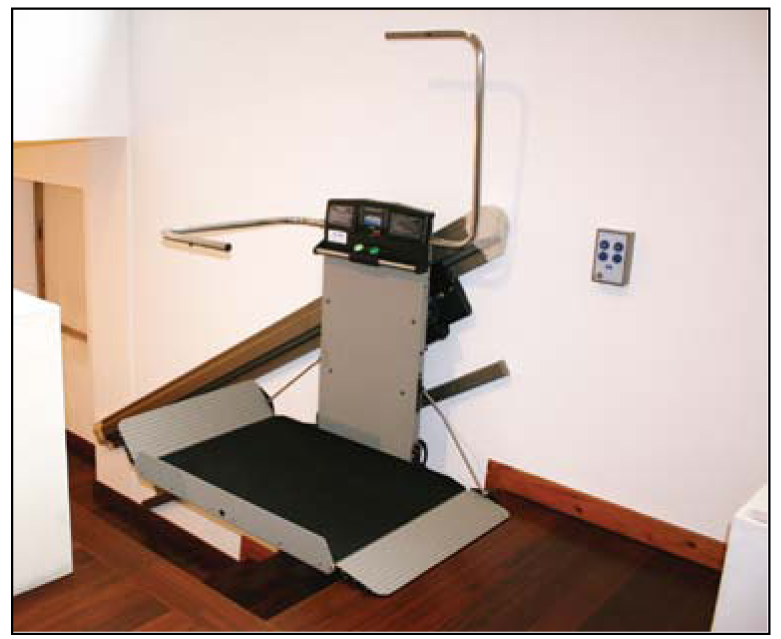 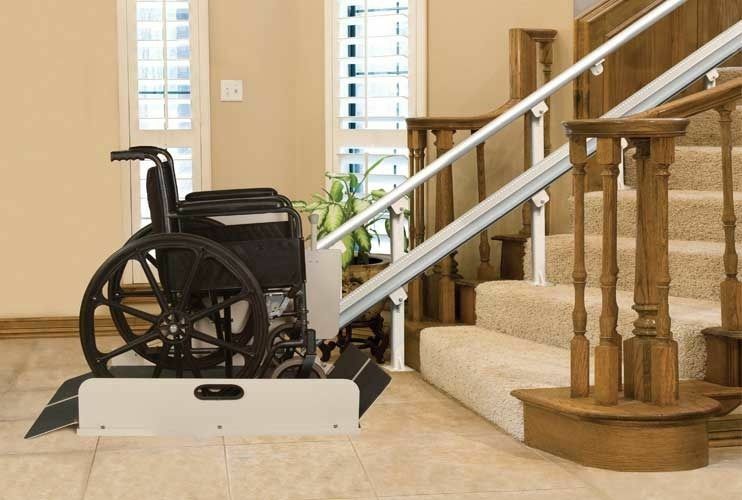 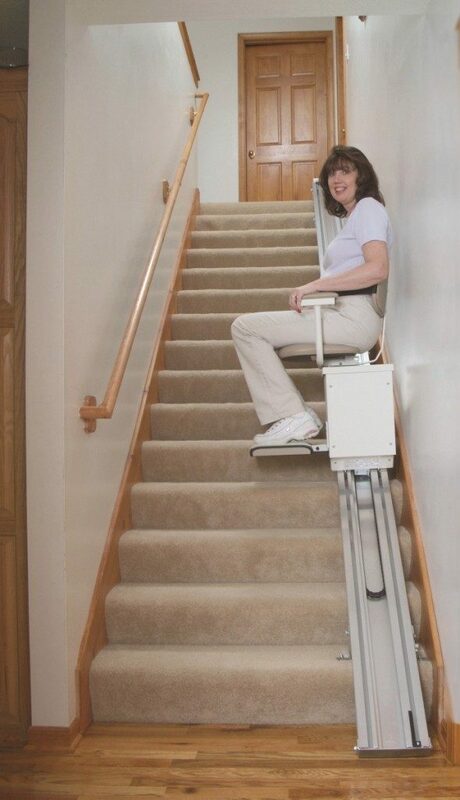 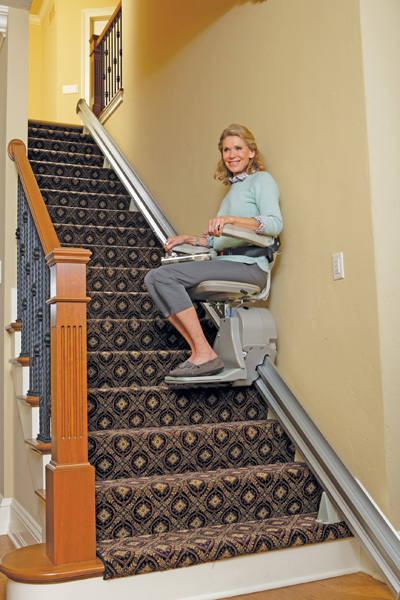 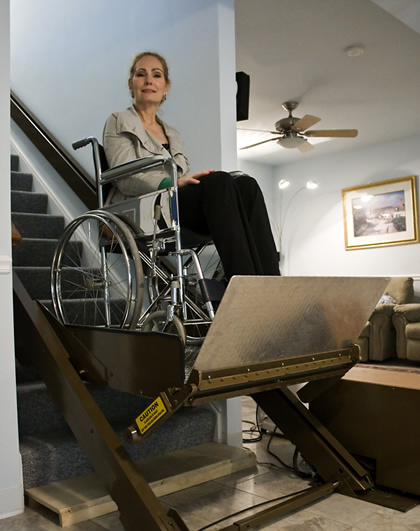 Inclined Platform Lifts combine the best features of stair lifts and vertical platform lifts by traveling along the existing incline of your stair case to easily transport you up and down your stairs. 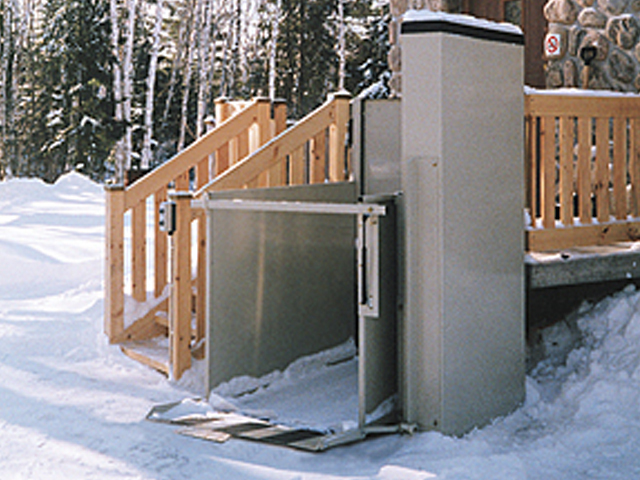 Outdoor Platform, Vertical, or Incline Lifts provide all the same options as the other stair lifts described, but are specifically designed to with stand the weather and outside elements. 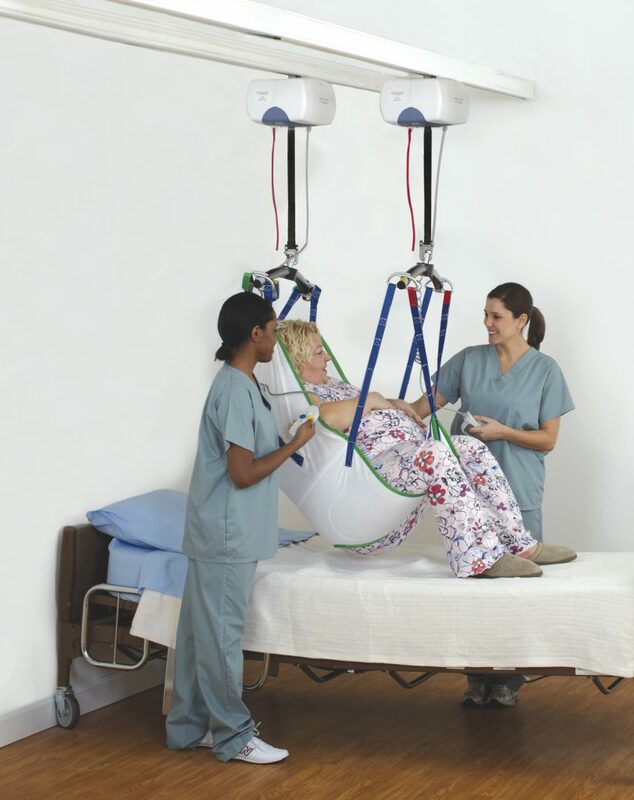 There are several types of hoisting systems available on the market and manufacturers worldwide are designing new hoists which make the lifting and transfer of patients an easier experience. 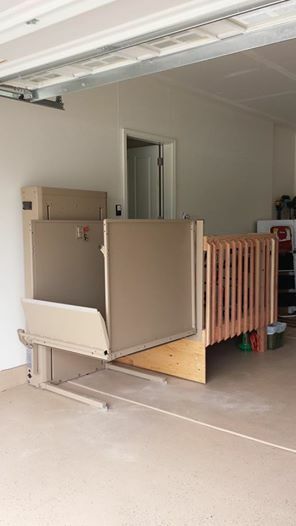 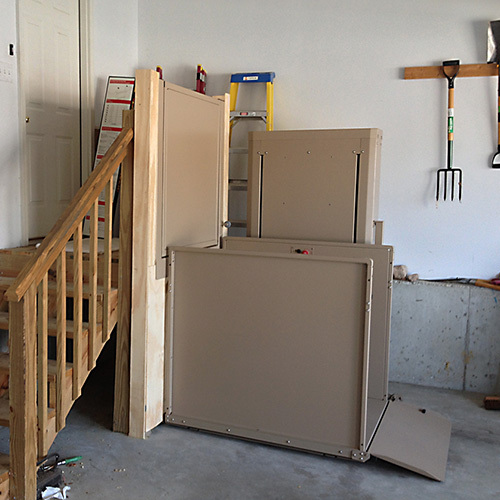 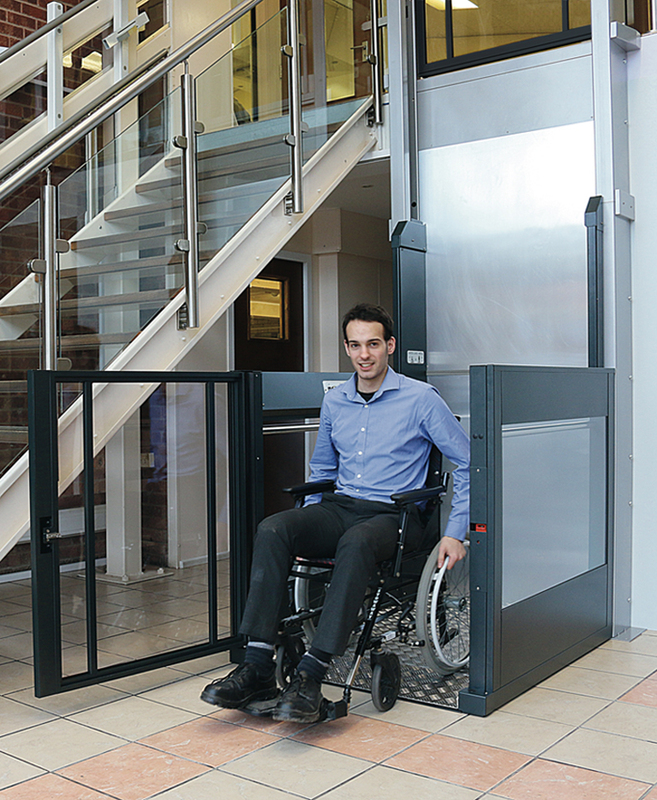 Barrier Free Modifications can supply and install just the lift you need. 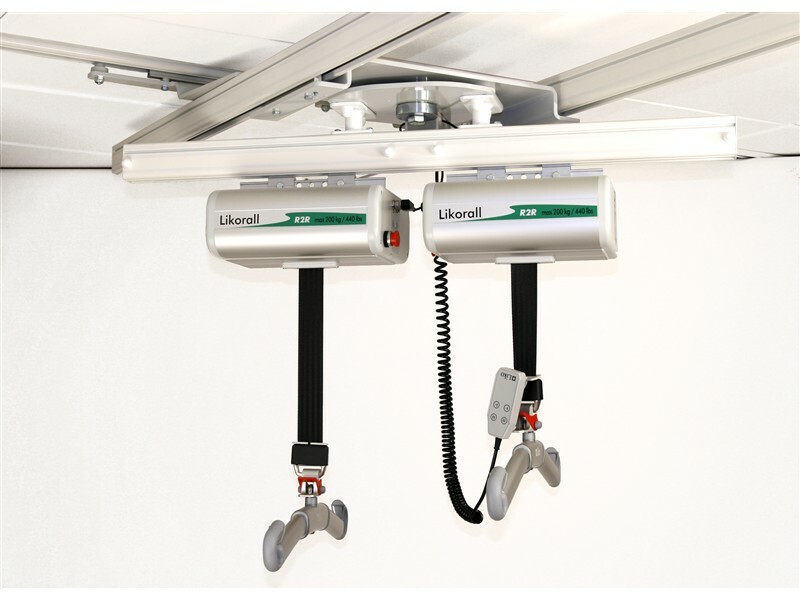 Overhead Hoists – Barrier Free Modifications can install two types of overhead hoist, ceiling fixed track and portable track. 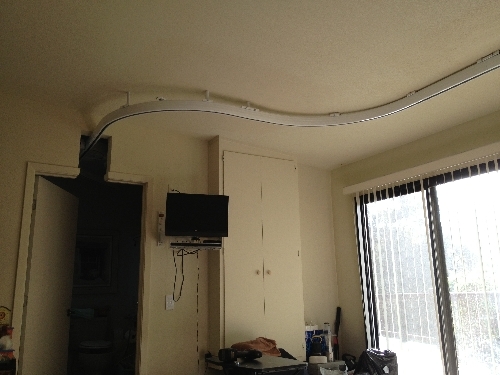 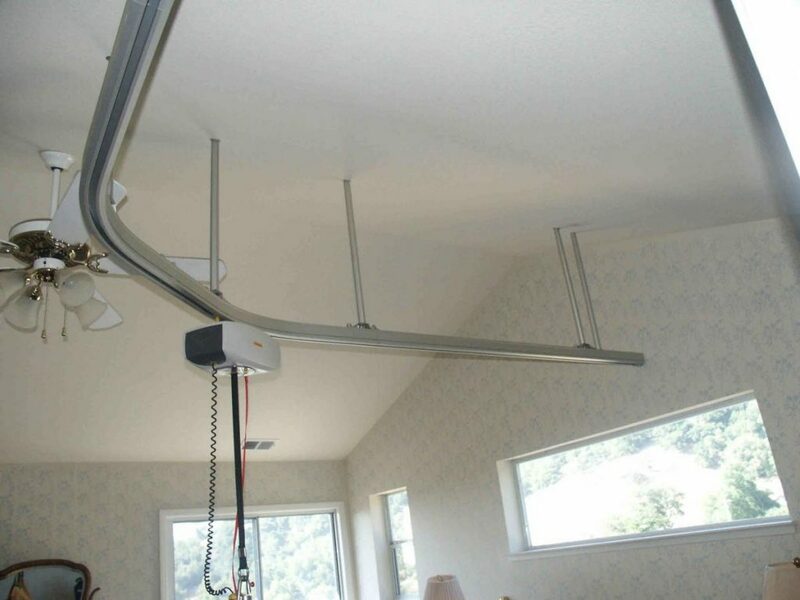 A ceiling track hoist consists of a piece of rail/track which is permanently attached to the ceiling. 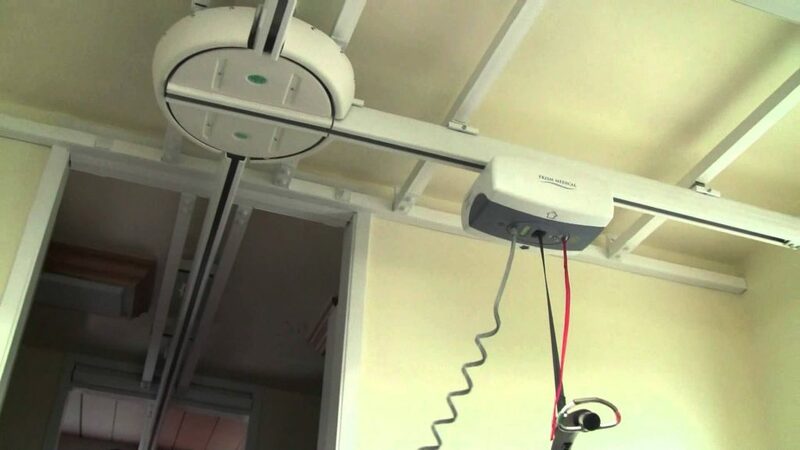 The track can be fitted to timber joists if available or chemical fixed into concrete ceilings. 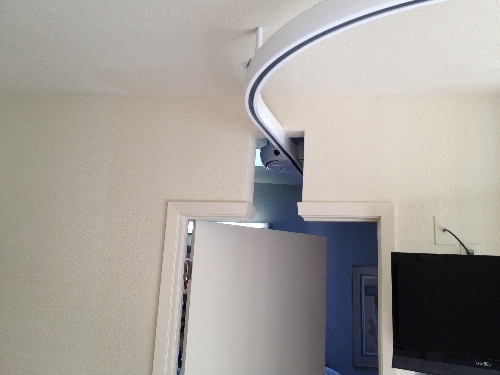 If for any reason the ceiling can’t be used it may be possible to fasten the track to the wall. 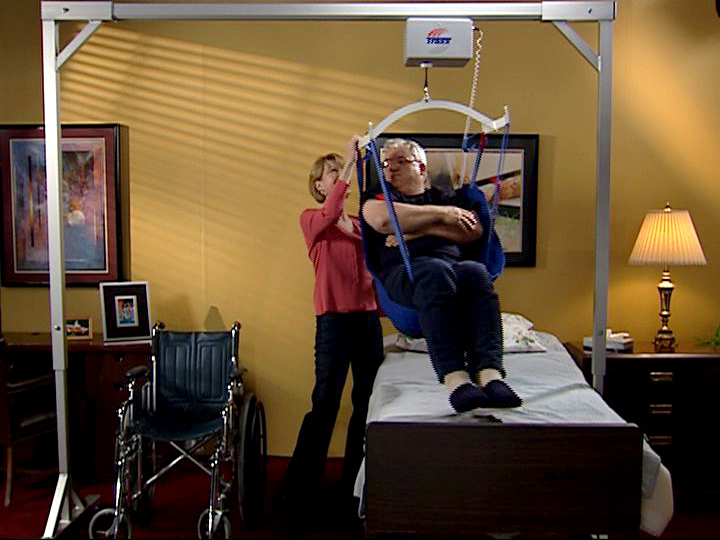 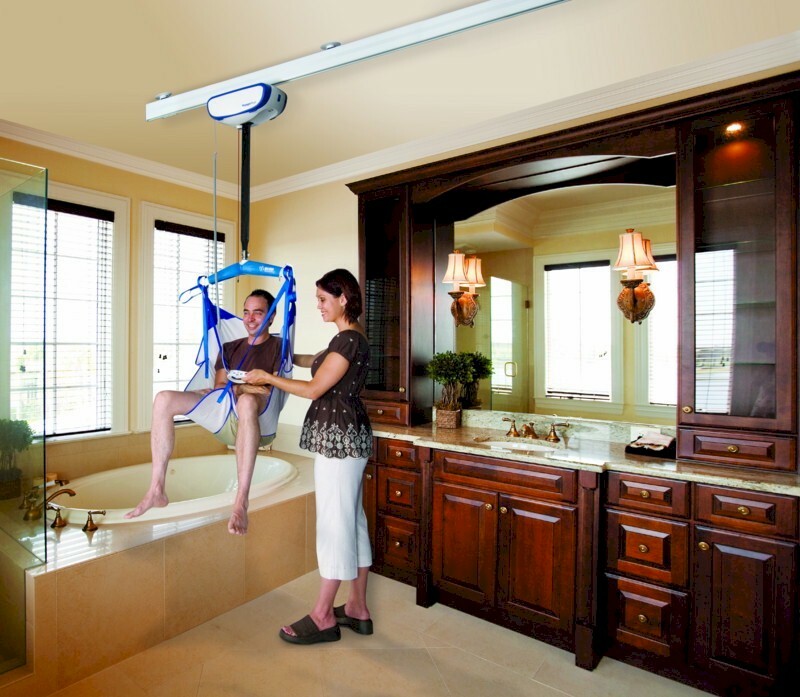 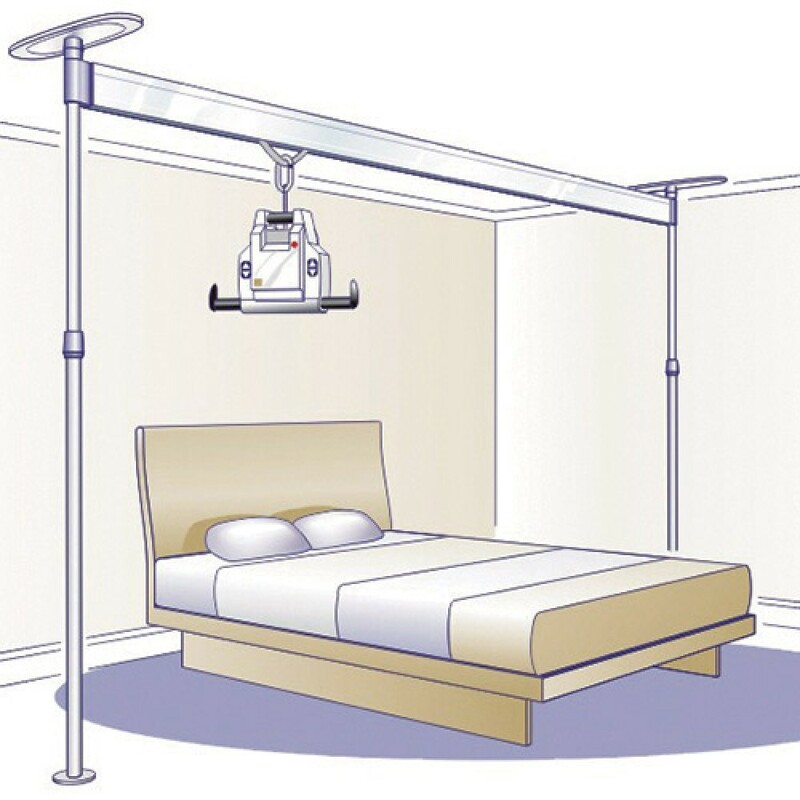 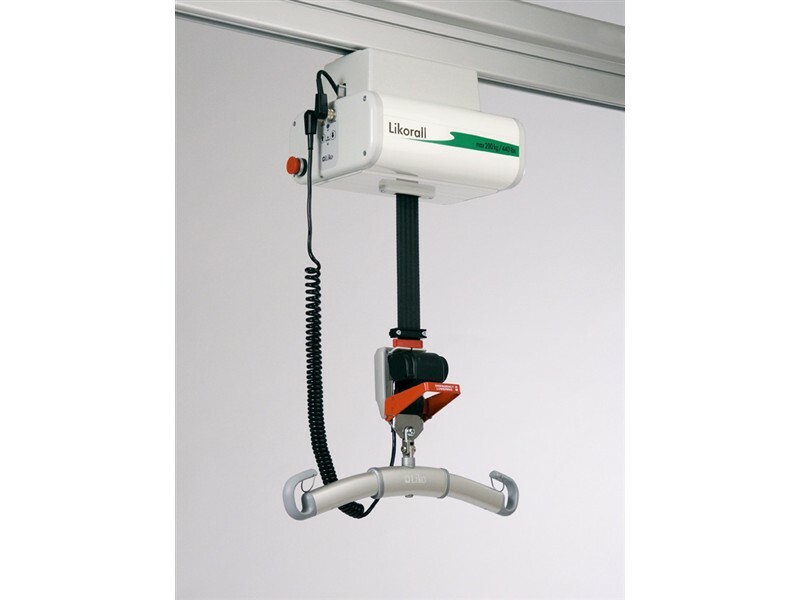 Portable Ceiling Lifts – Have a patient sling, motorized pulley system or motorized unit integrated with a removable battery powered hoist. 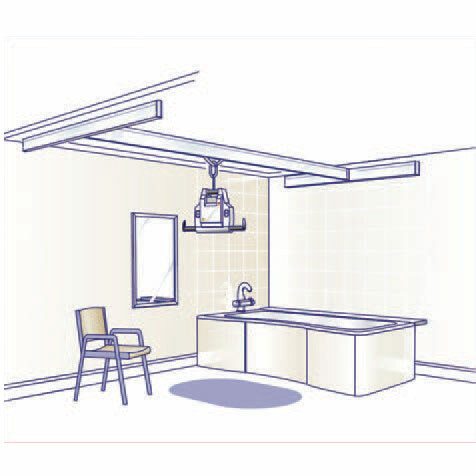 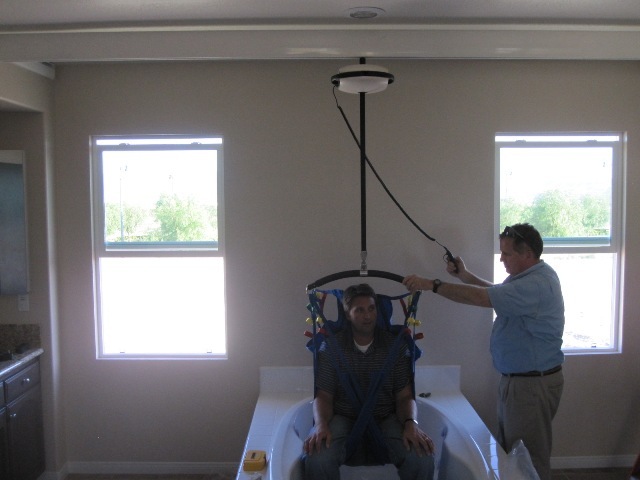 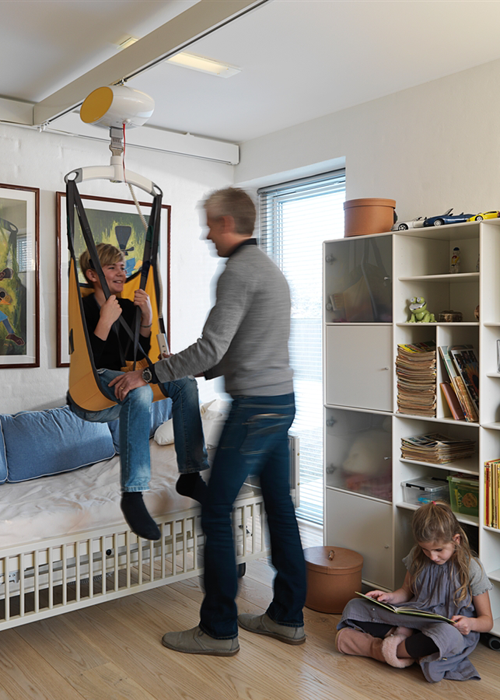 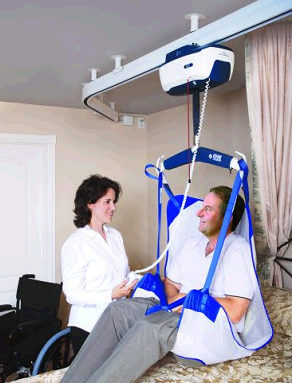 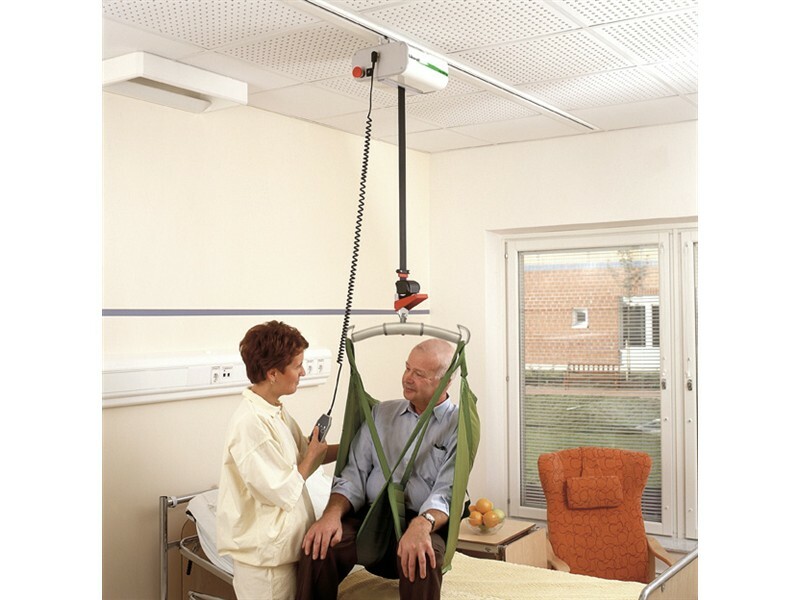 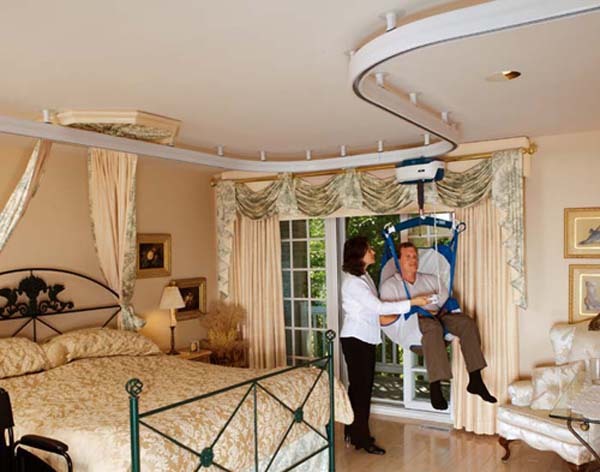 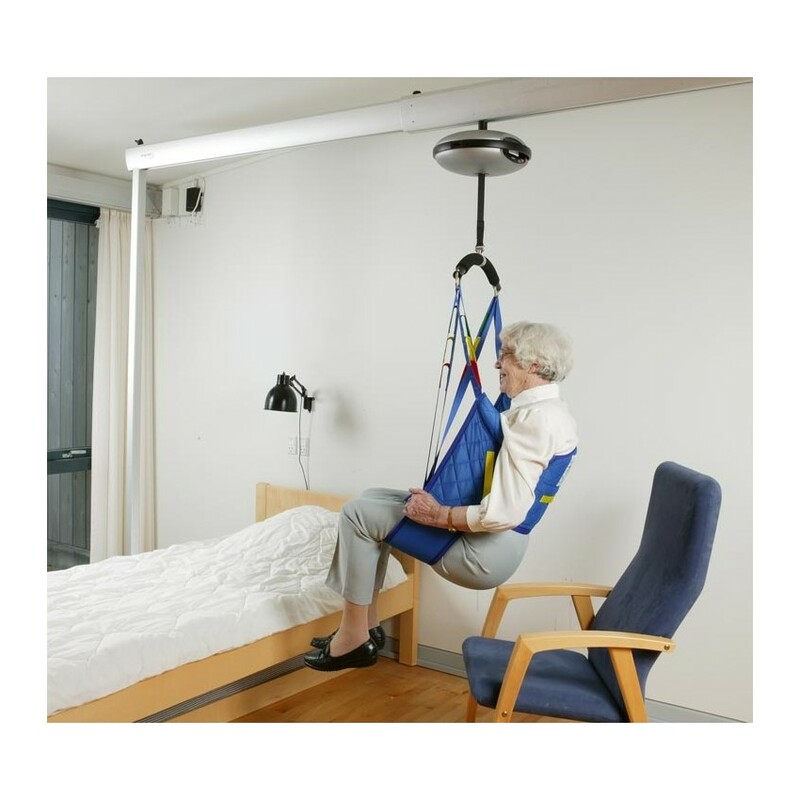 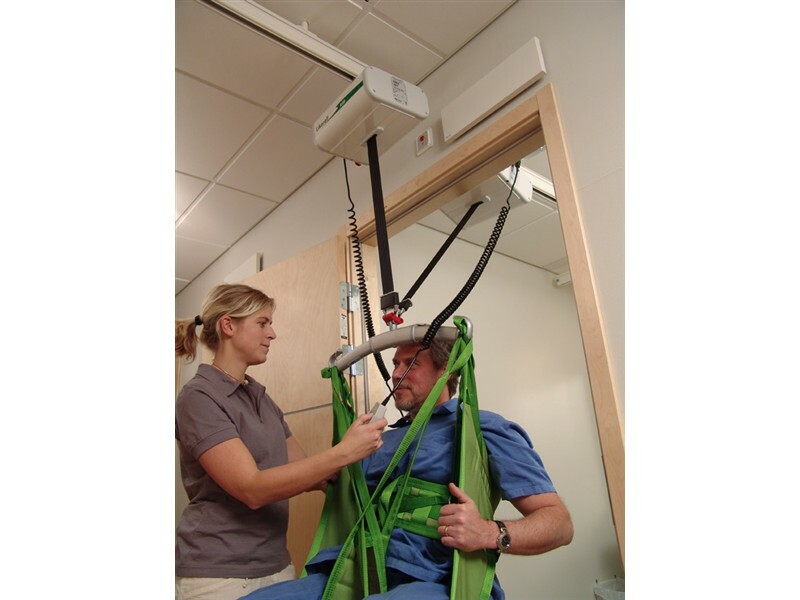 To support the patients as they are lifted in a reclining position or during gait training or un-weighted walking, the ceiling lifts have a sling or harness. 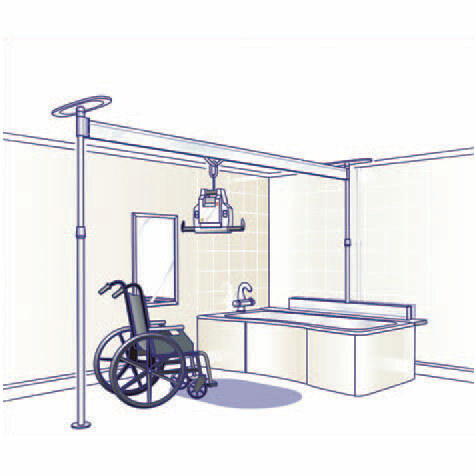 The overhead ceiling lift is attached with a multiple overhead track system to meet lifting needs. 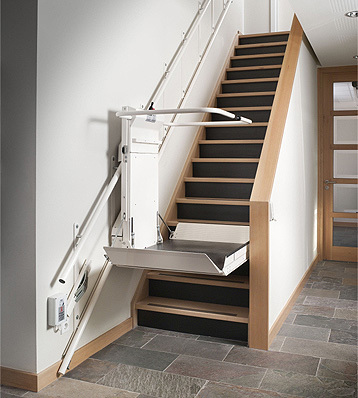 The track systems are available in various forms including free standing/semi-permanent; single track – to move single route across multiple or single room; 2-strap – to move across doorways; and X-Y traverse track system – to move along the X and Y axis. 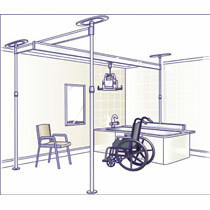 The free standing track system is an alternative for ceiling installed track system. 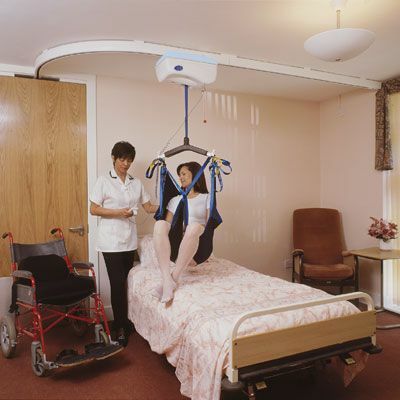 The easy to hold and carry ceiling lifts are available in various load carrying capacities. 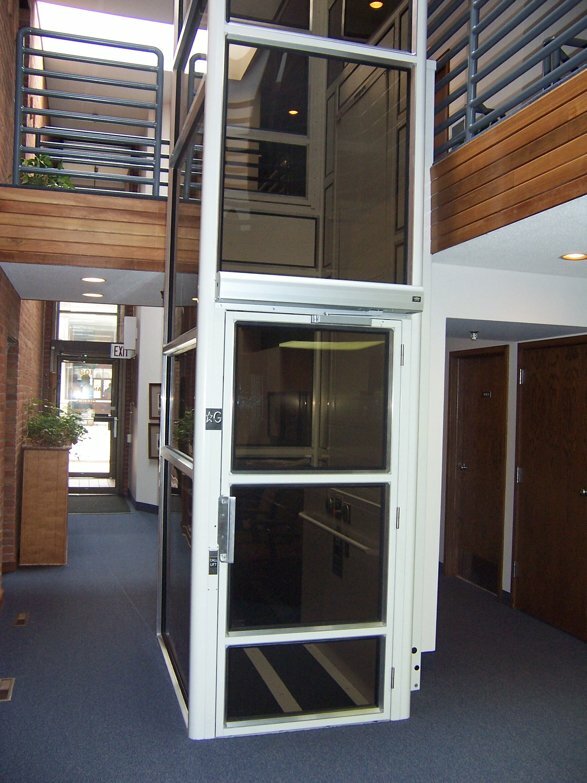 Barrier Free Modifications can ensure safe and proper installation of your lift. 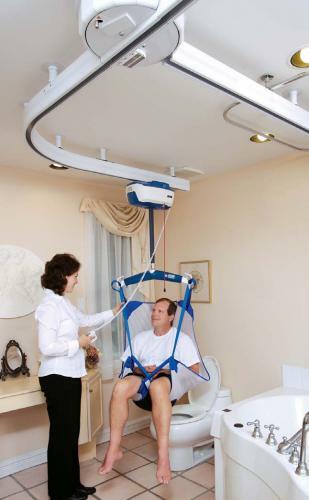 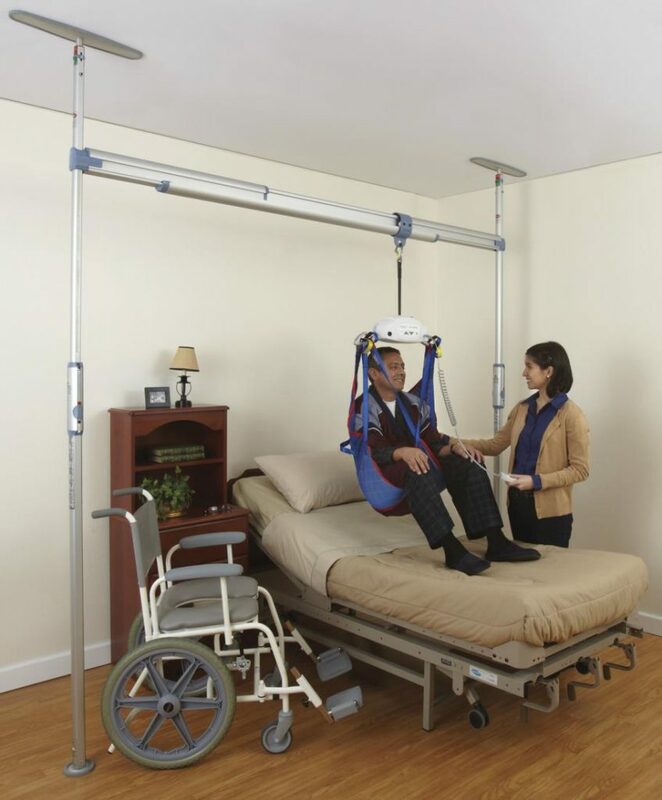 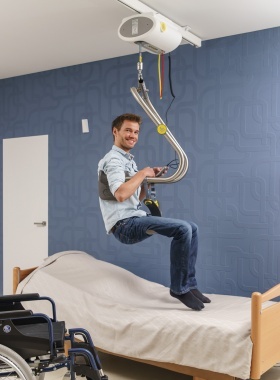 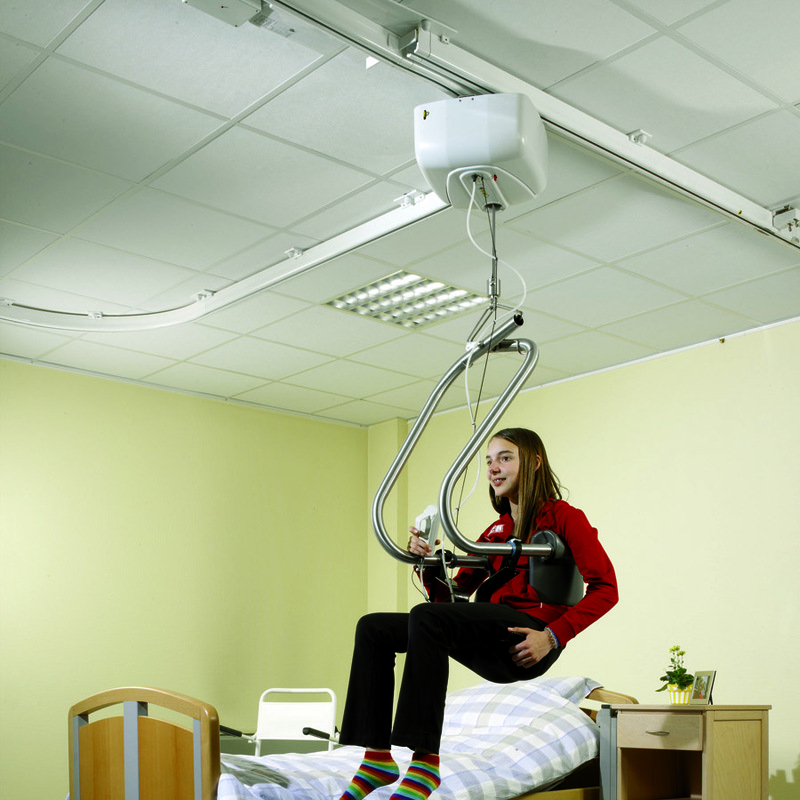 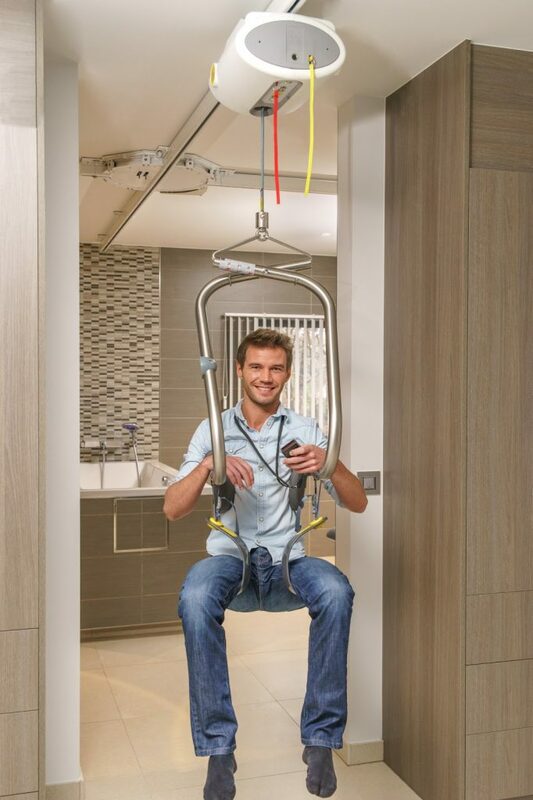 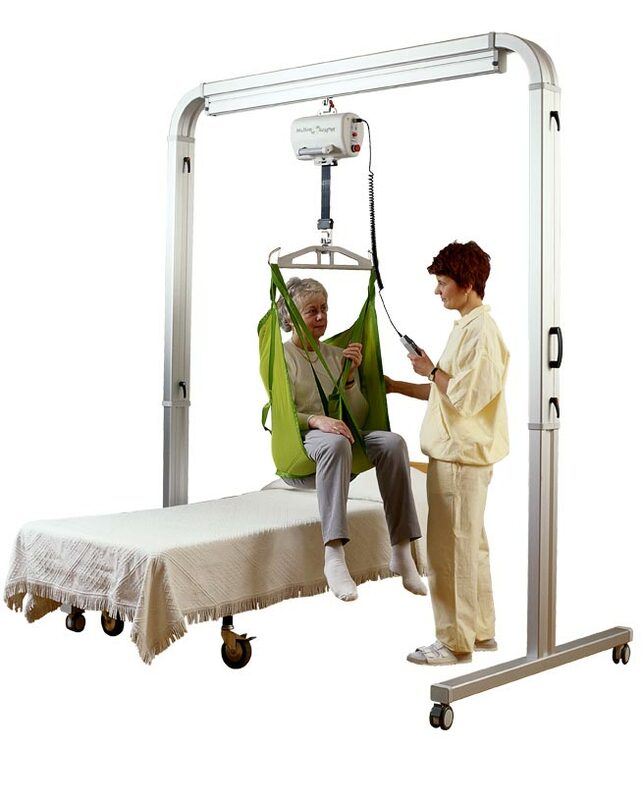 Mobile Floor Hoists – Floor hoists have been designed especially with the domestic care environment and patient in mind. 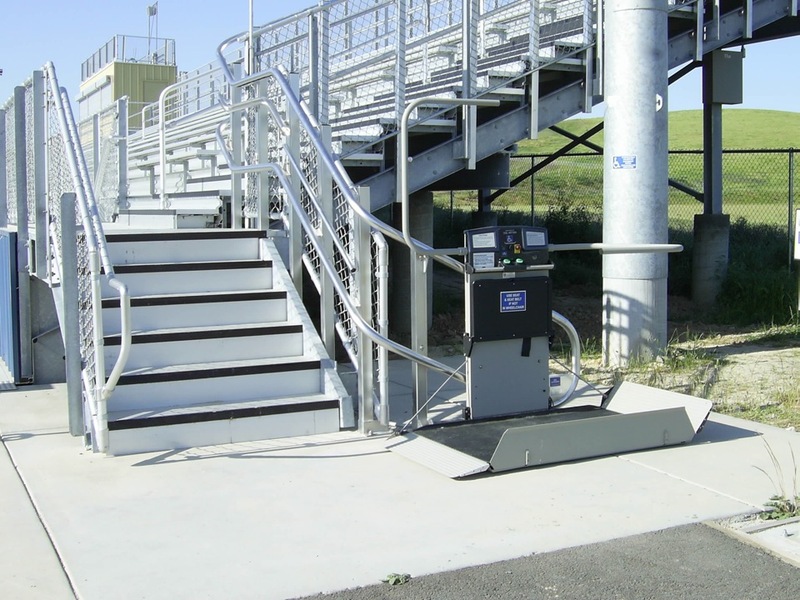 Electric and hydraulic units are available. 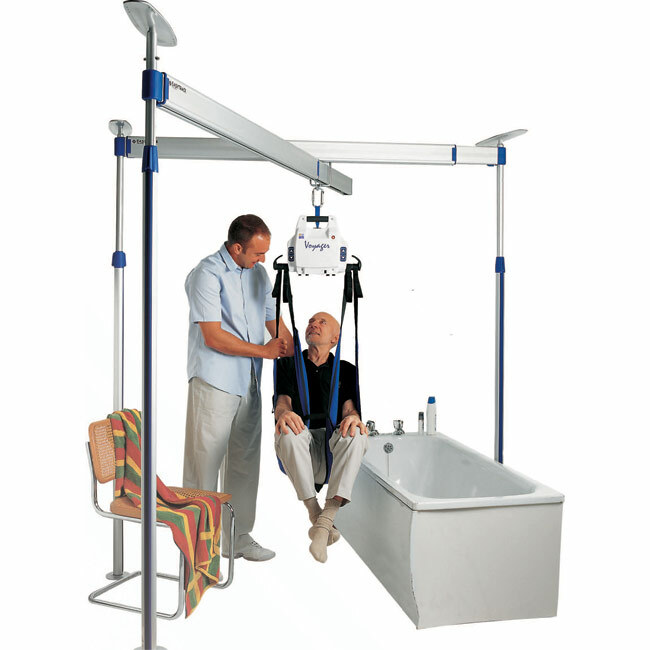 Wall Lift Hoists – The wall lift has been designed especially for home use. 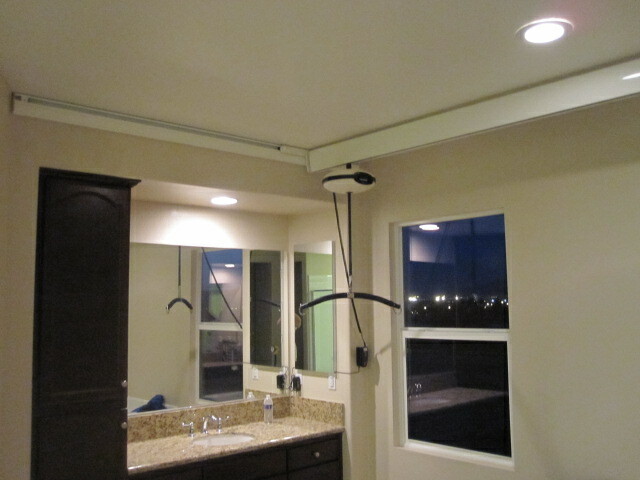 They are inexpensive, versatile and easy to install. 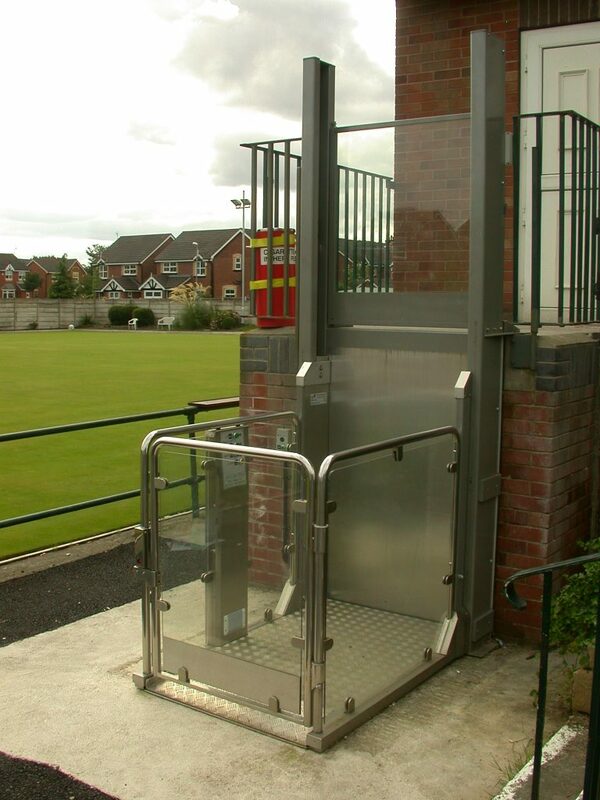 The lift can be made portable with the use of additional wall brackets and is particularly useful in bathrooms where space can be at a premium, Barrier Free Modifications specially trained lift experts can assess and recommend the right type of lift for your specific needs. 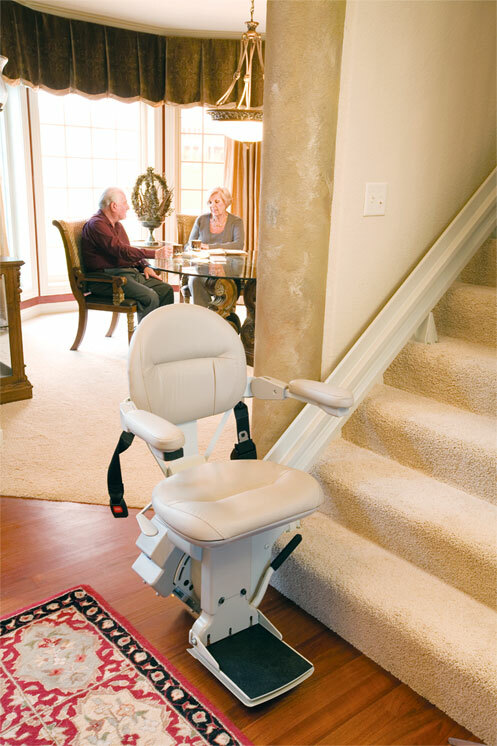 Barrier Free Plus looks forward to being your safety and mobility assistance partner. 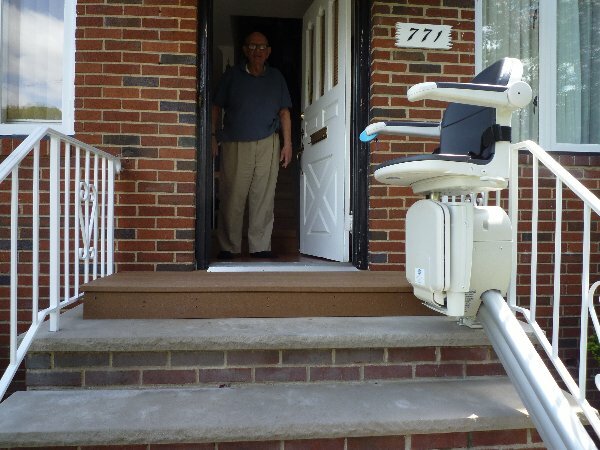 Please contact us today to schedule your free in home inspection with a Barrier Free Plus mobility specialist to discuss which services are best for you or your loved one. 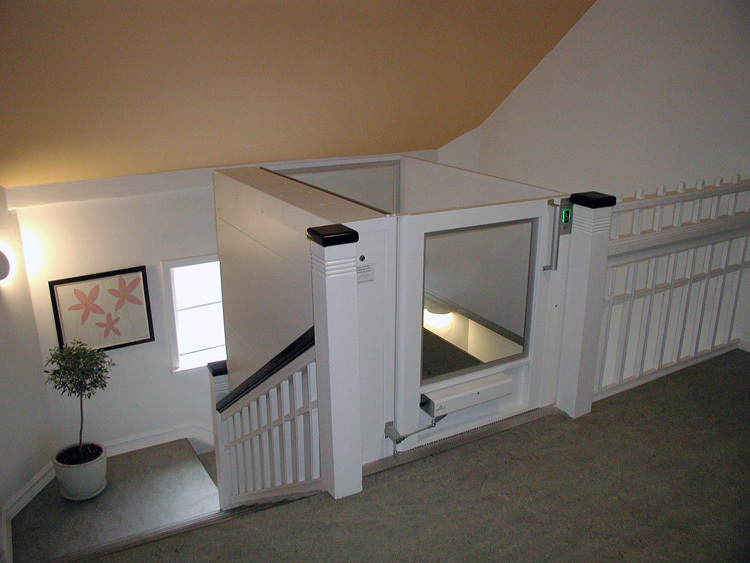 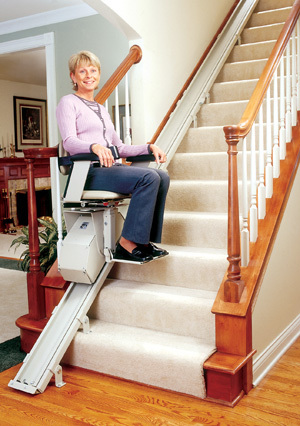 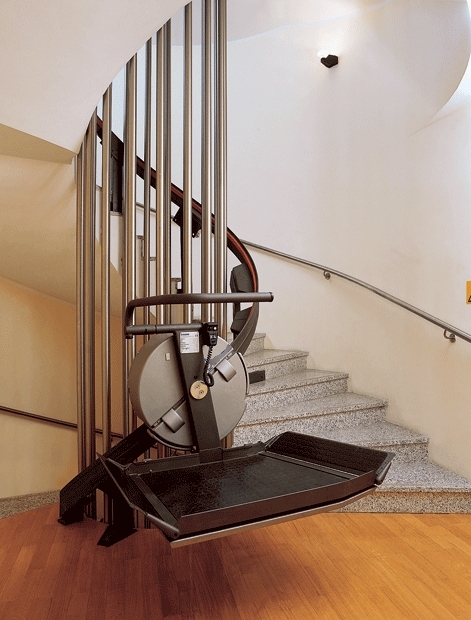 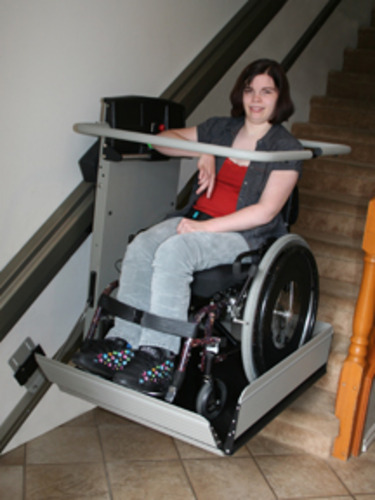 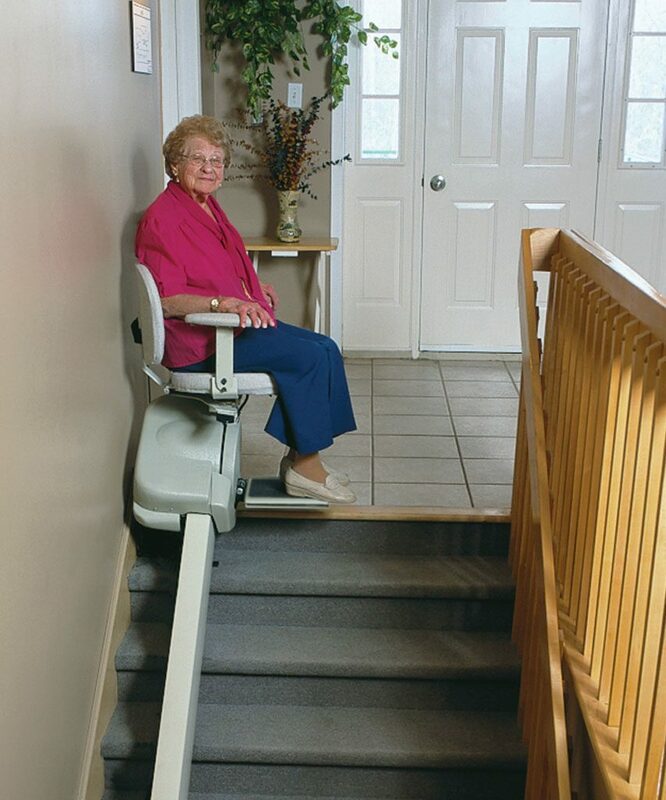 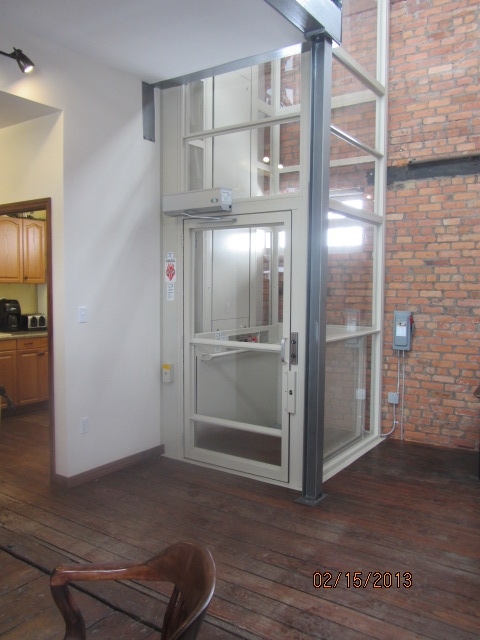 Barrier Free Modifications can offer a wide array of lifts for you home or business. 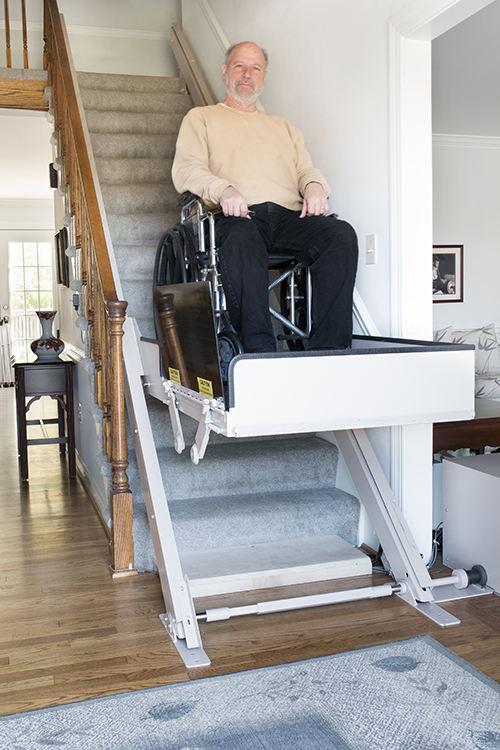 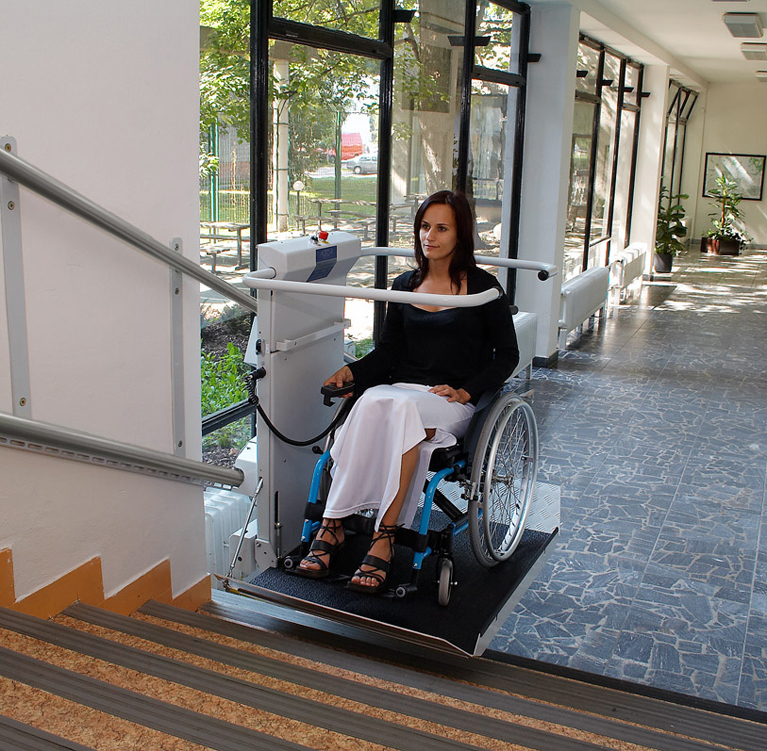 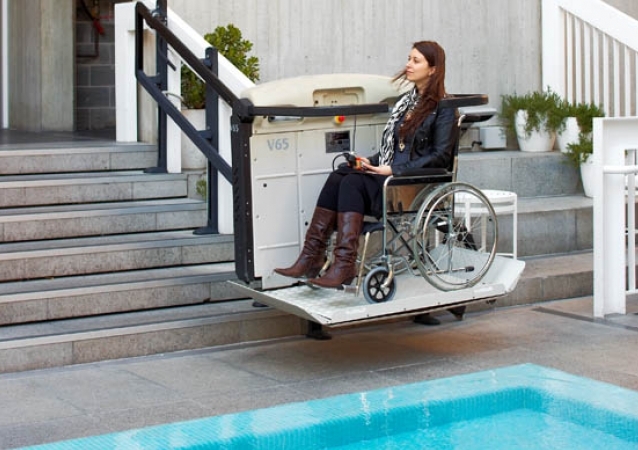 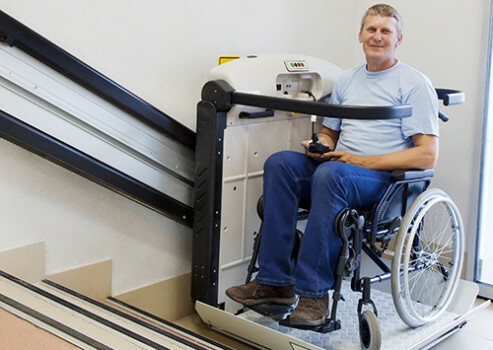 Each type of lift offers it own unique benefits and can eliminate individual handicaps and setbacks to your everyday living and mobility needs. 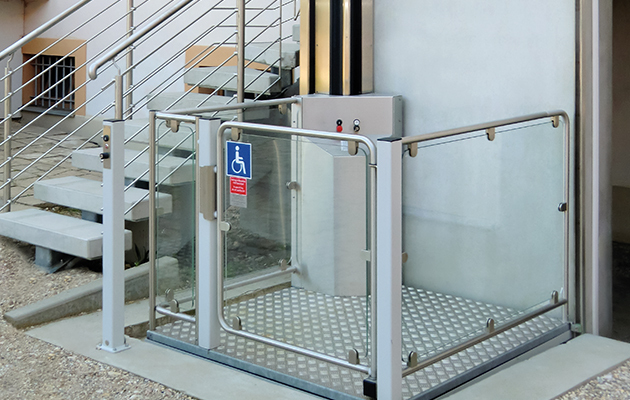 Barrier Free Modifications specially trained lift experts can assess and recommend the right type of lift for your specific needs.